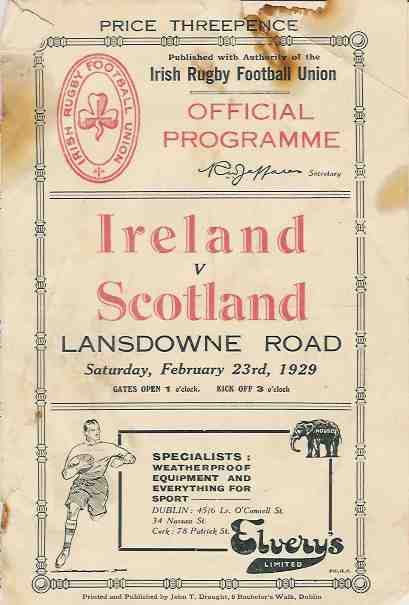 23 Feb 1929 Dublin 7-16 Small piece missing from top of front cover, looks like a burn, there is a small piece missing from the back cover, staples rusted throughout leaving stain. 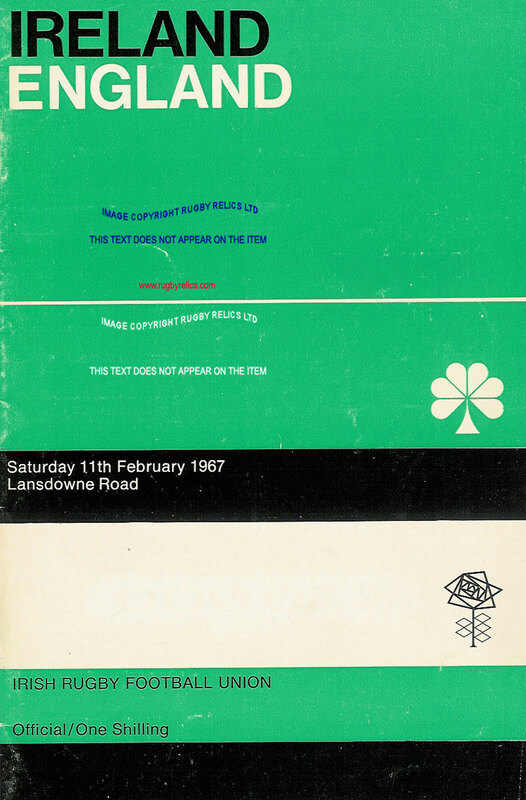 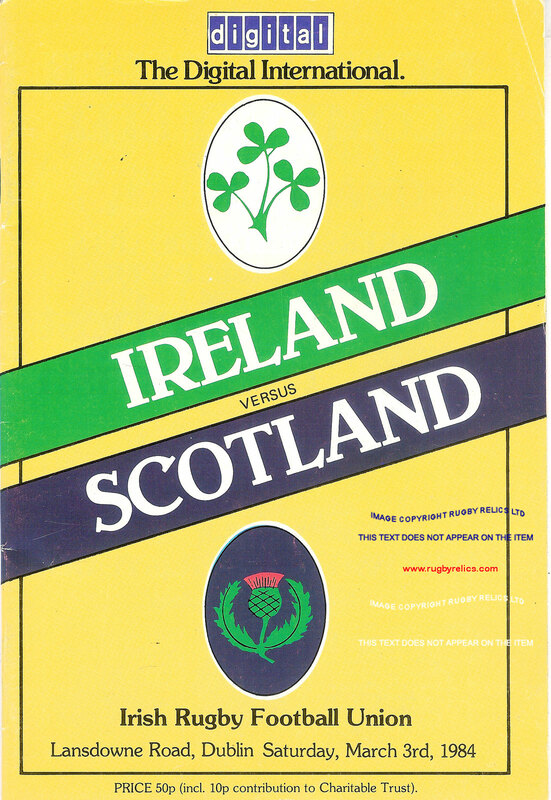 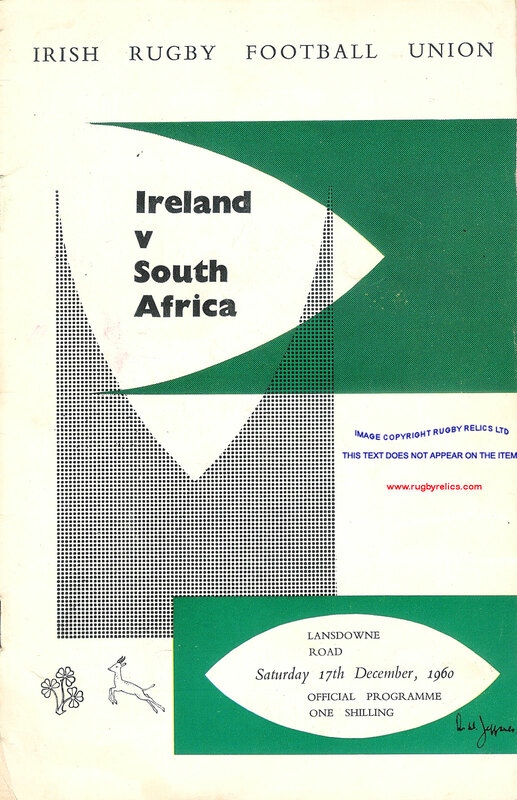 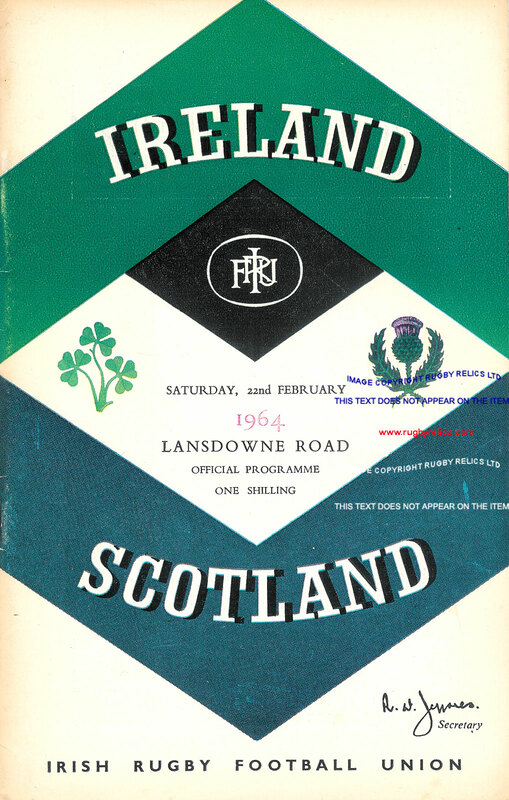 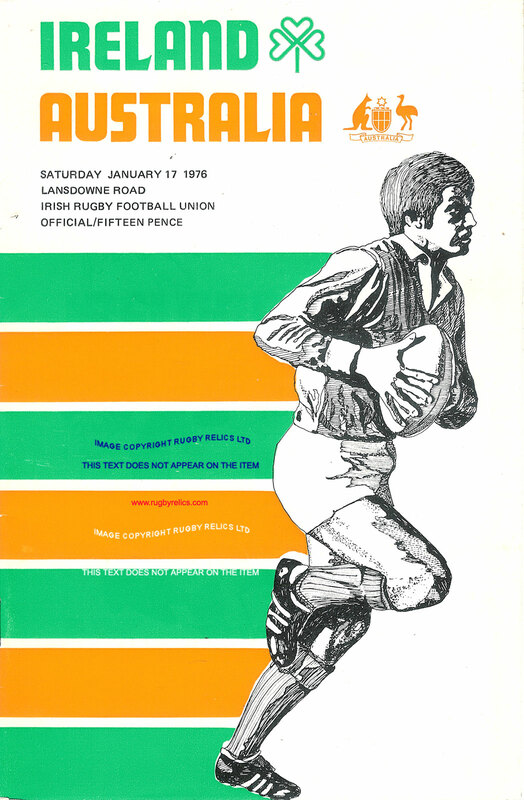 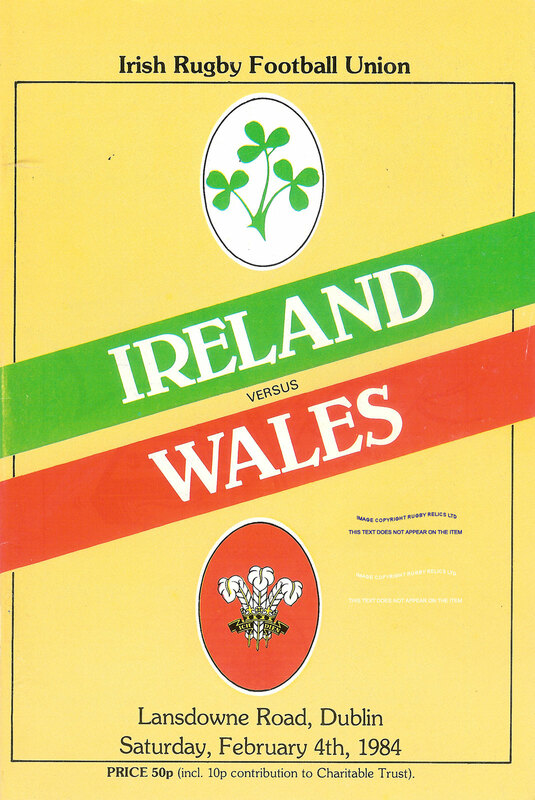 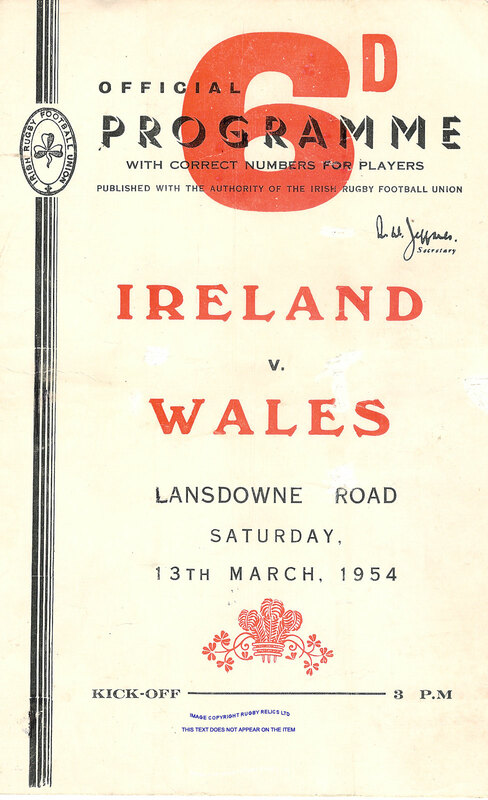 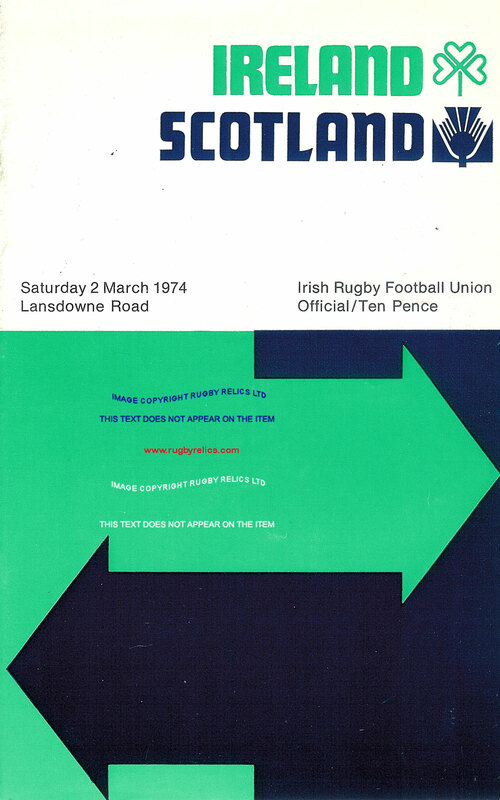 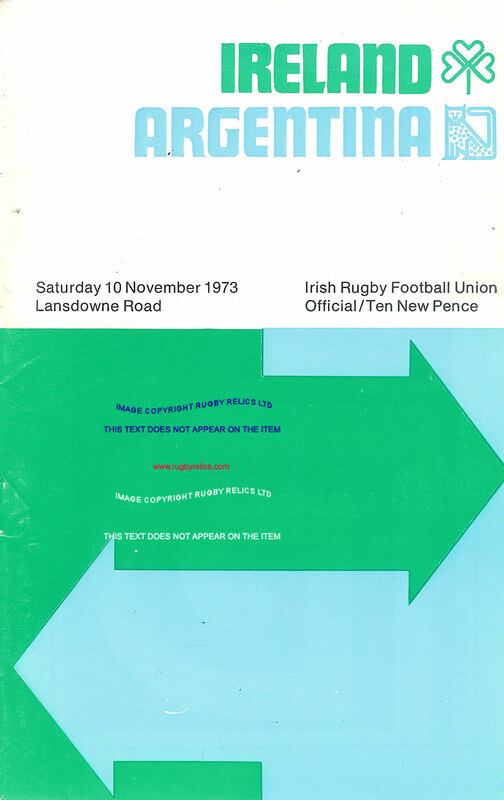 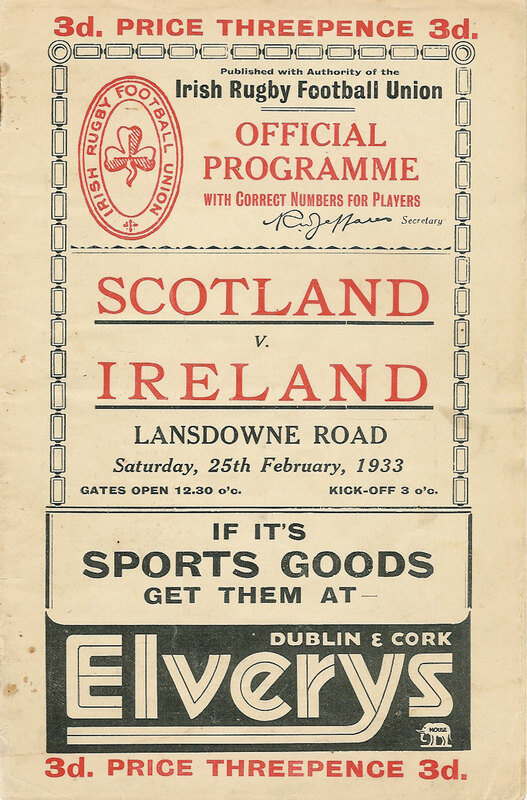 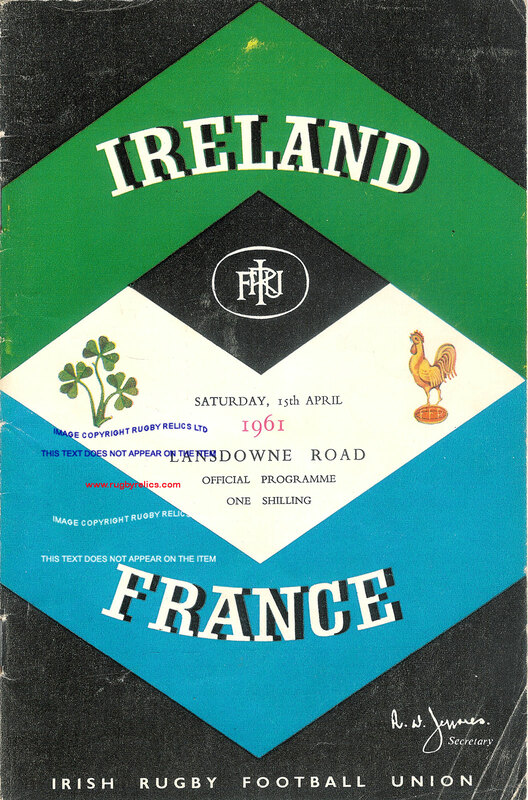 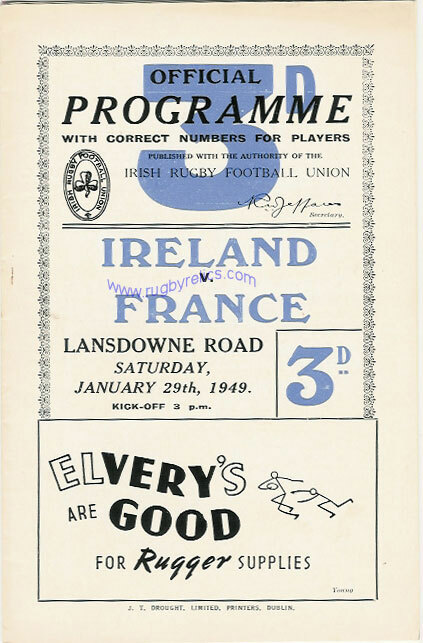 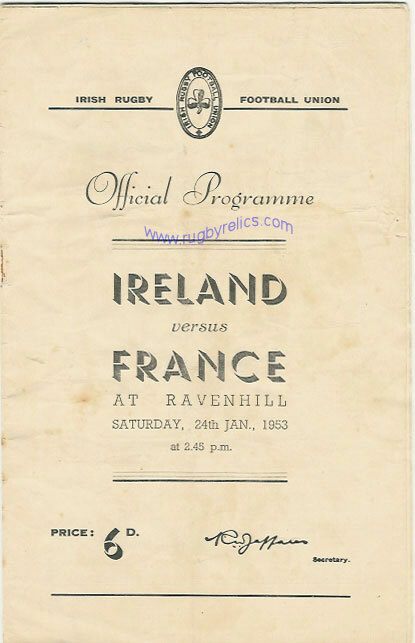 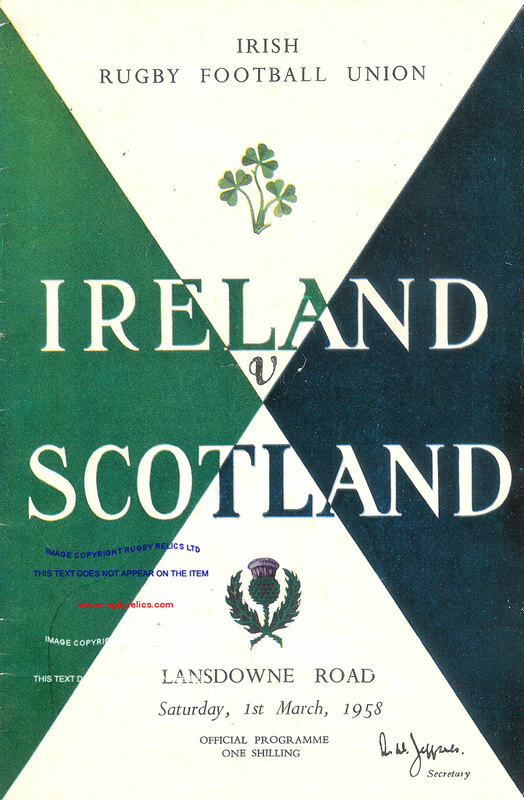 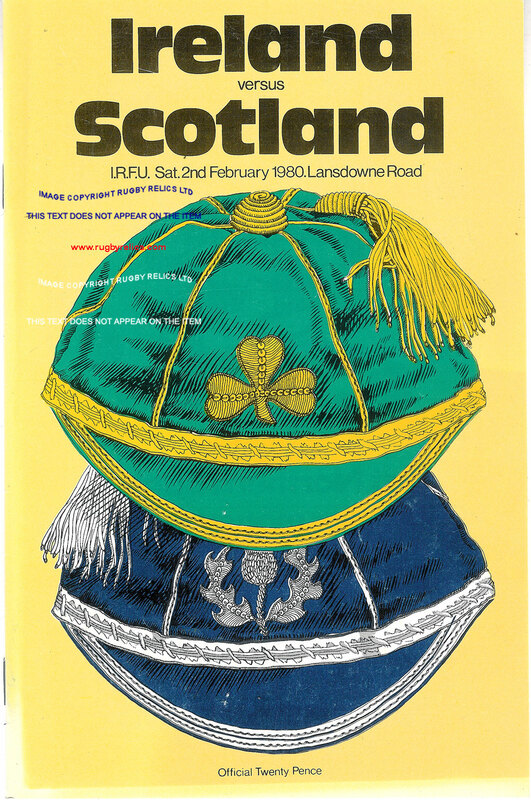 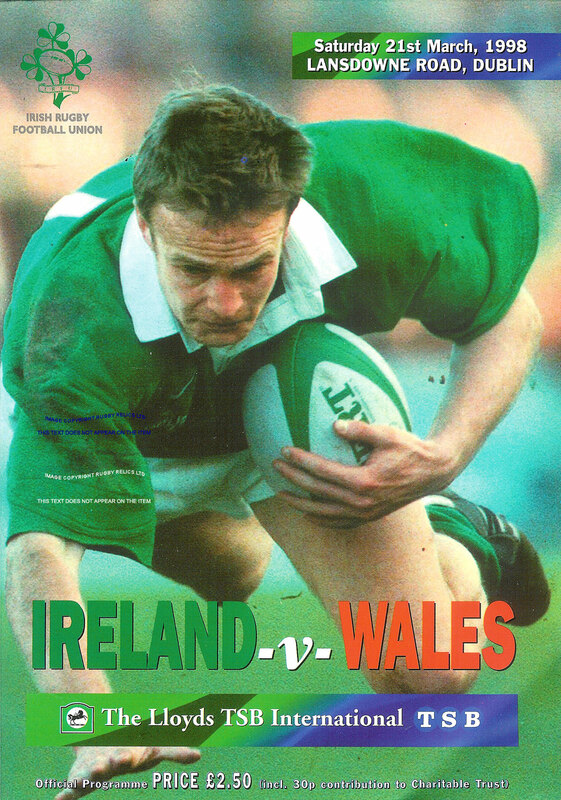 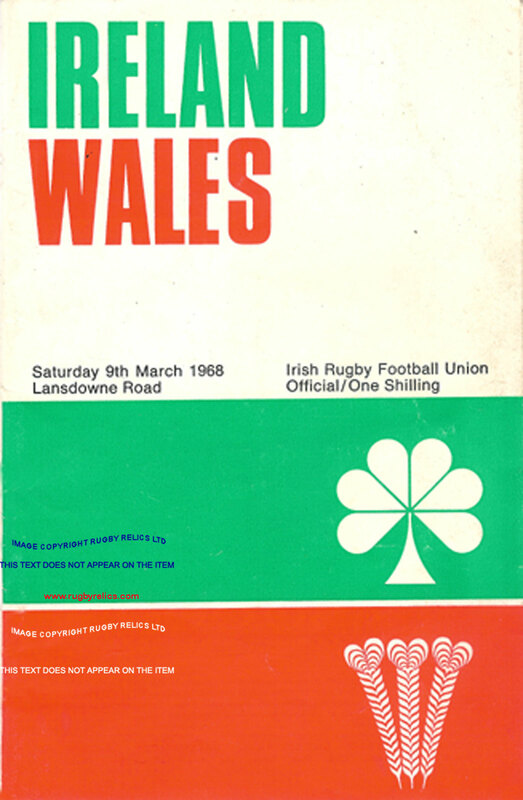 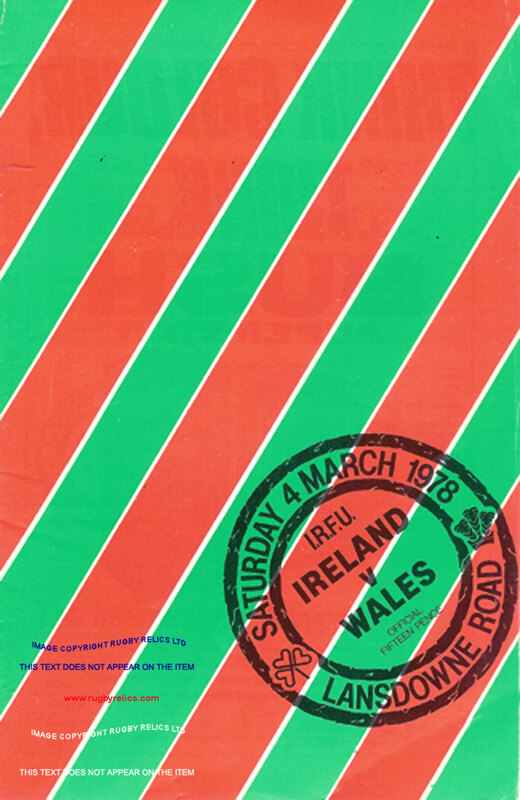 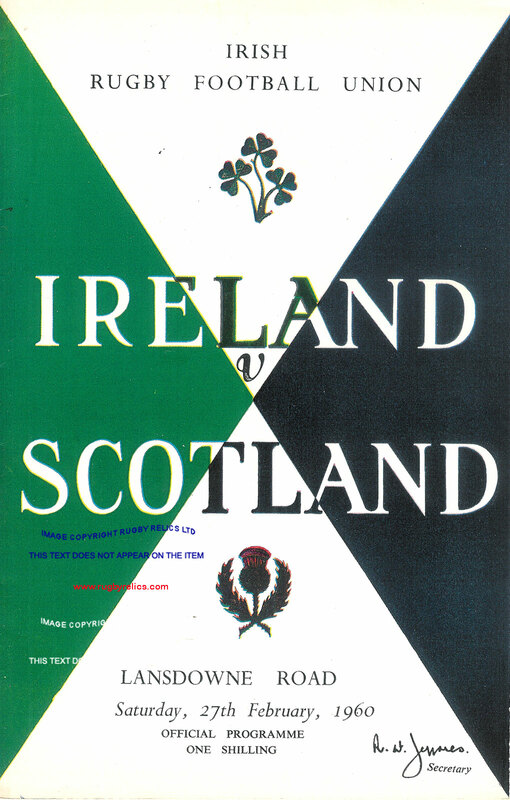 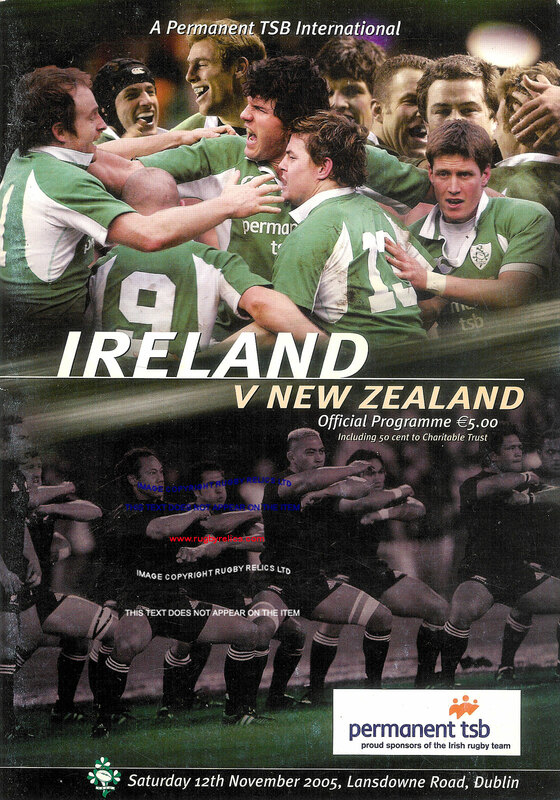 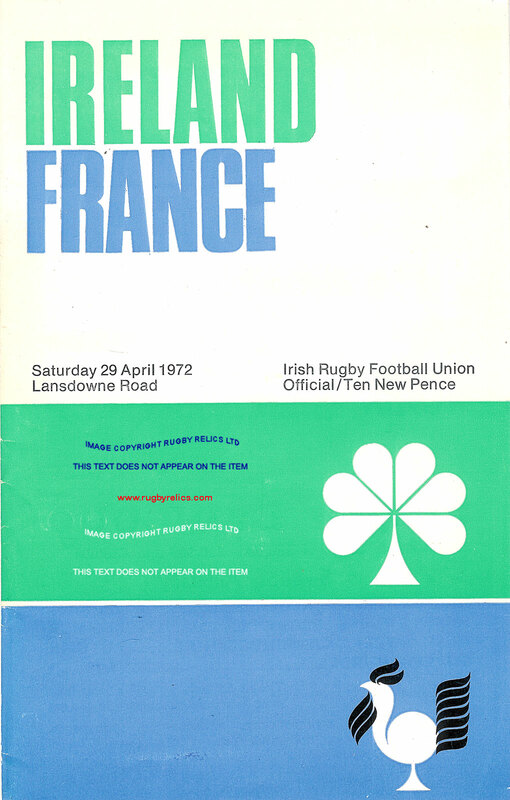 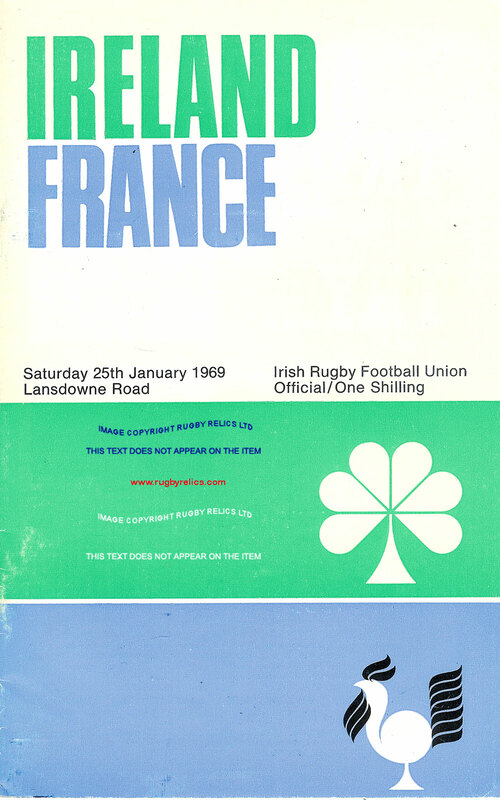 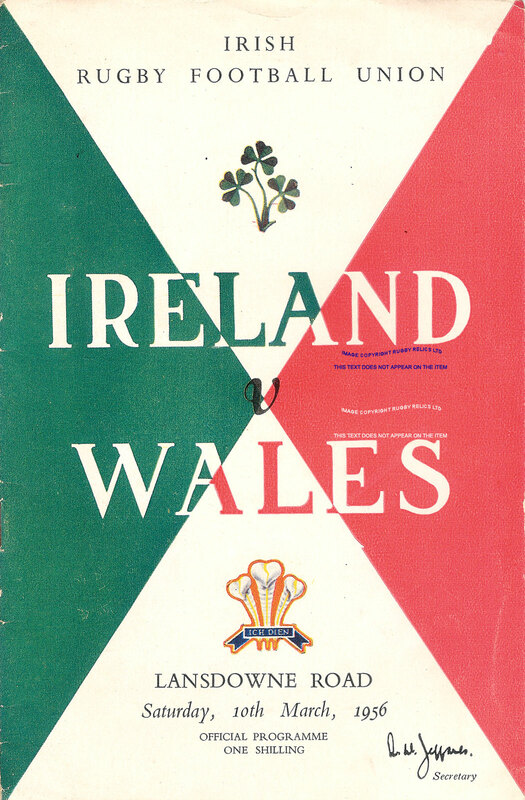 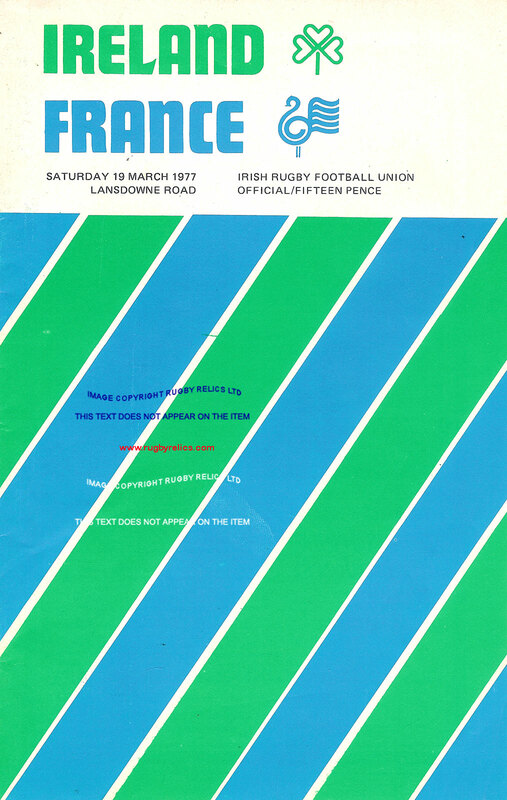 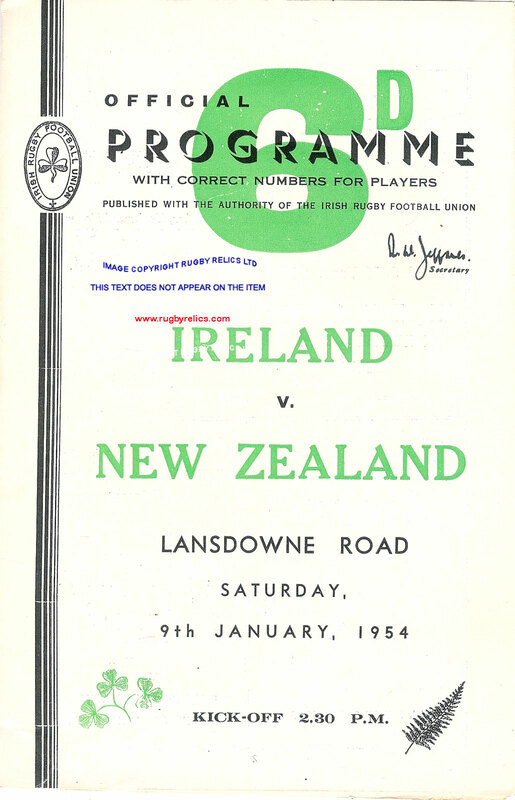 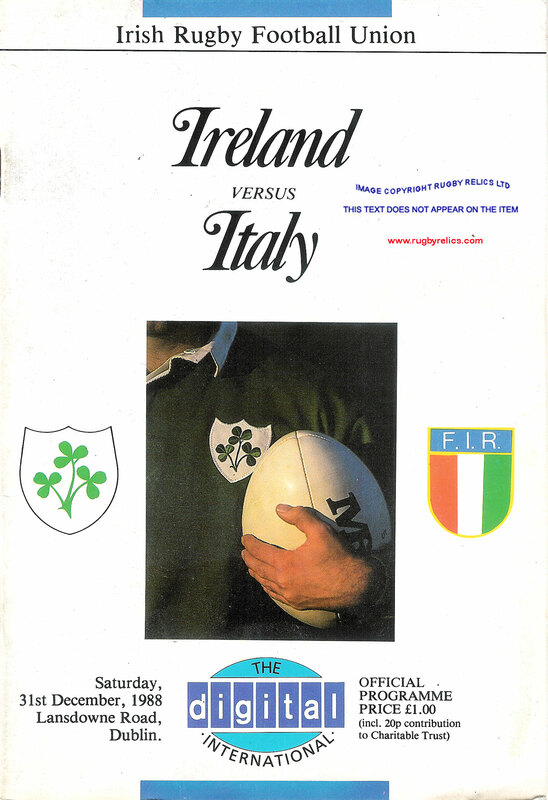 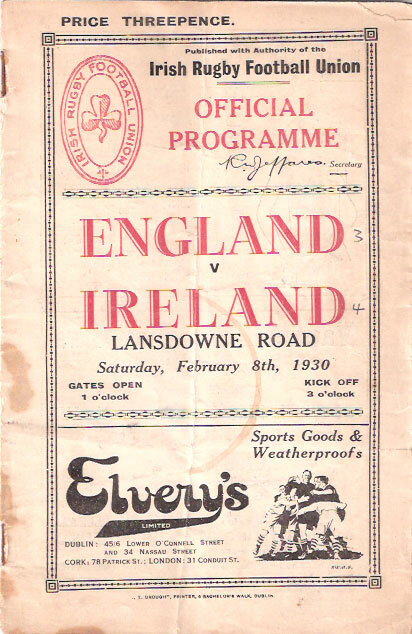 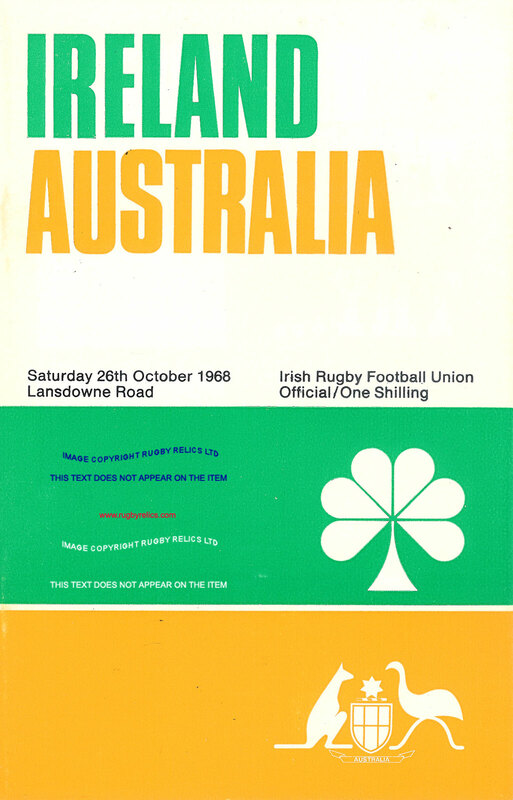 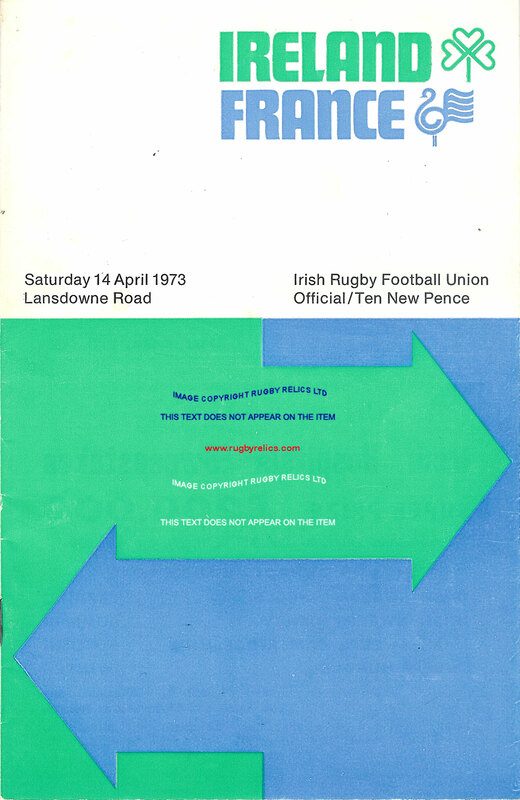 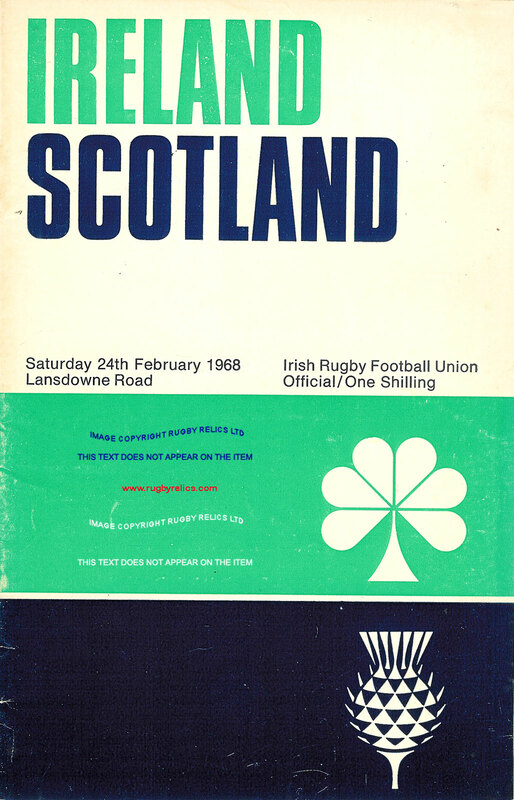 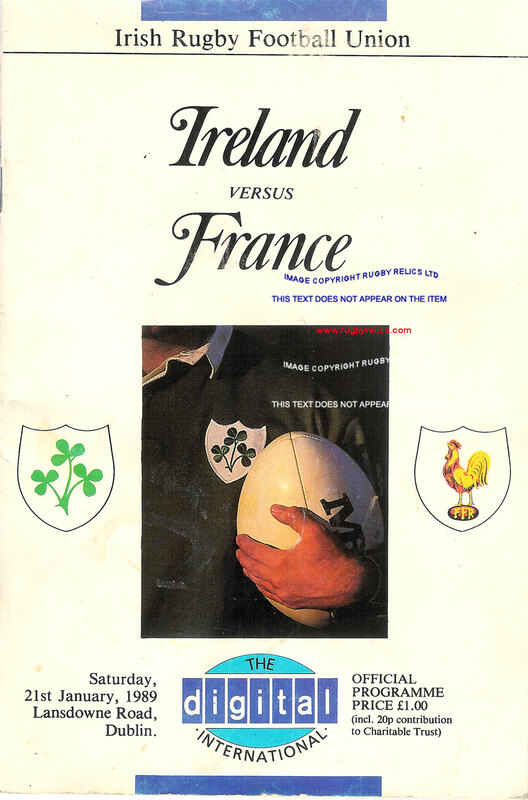 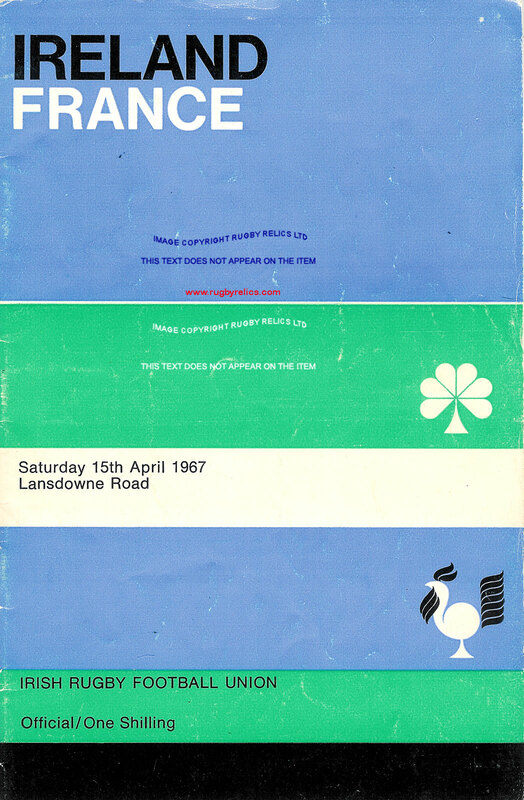 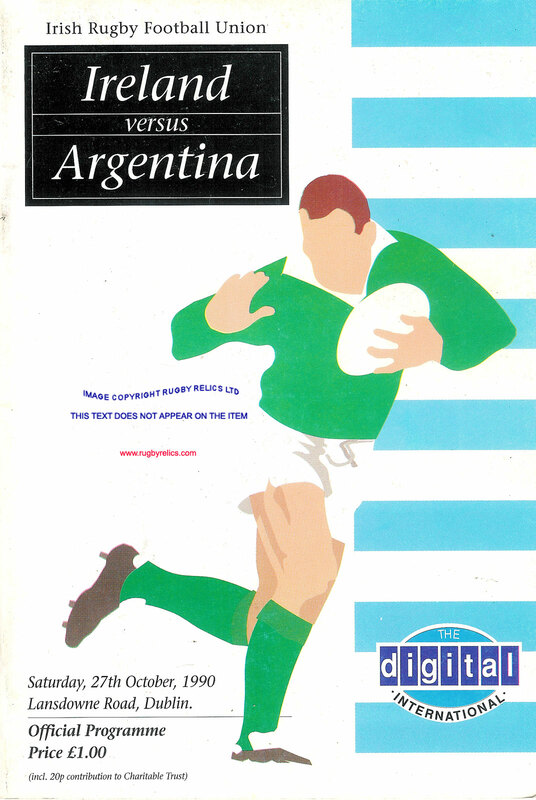 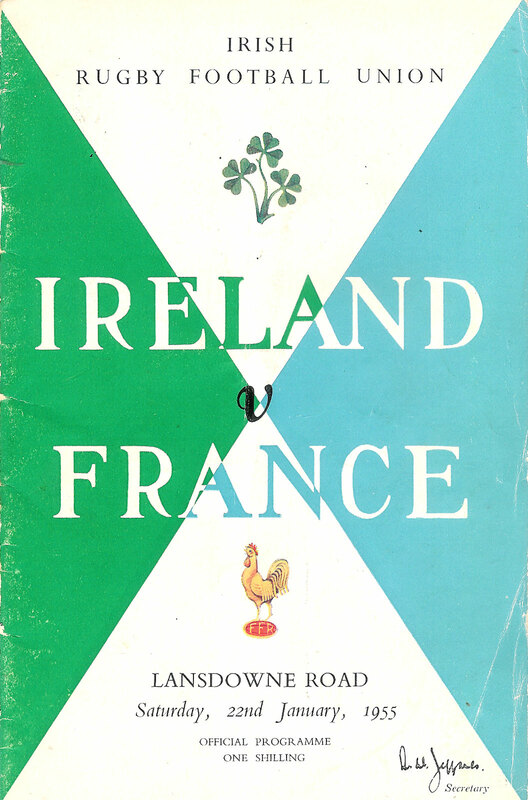 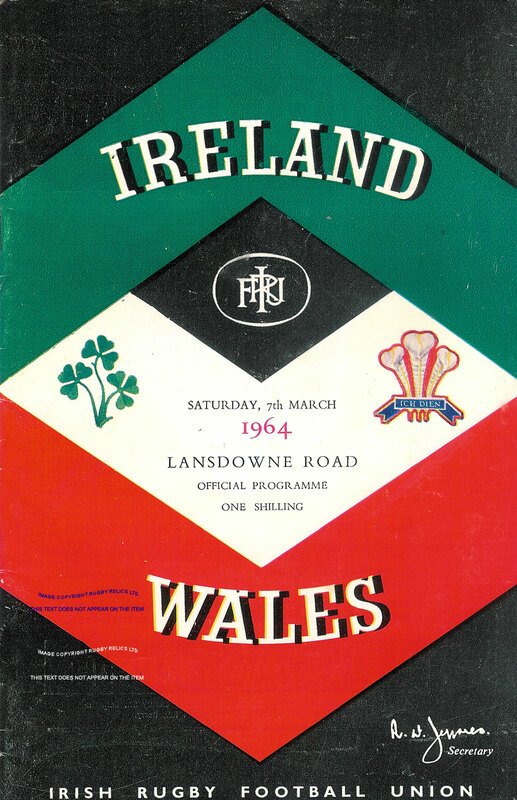 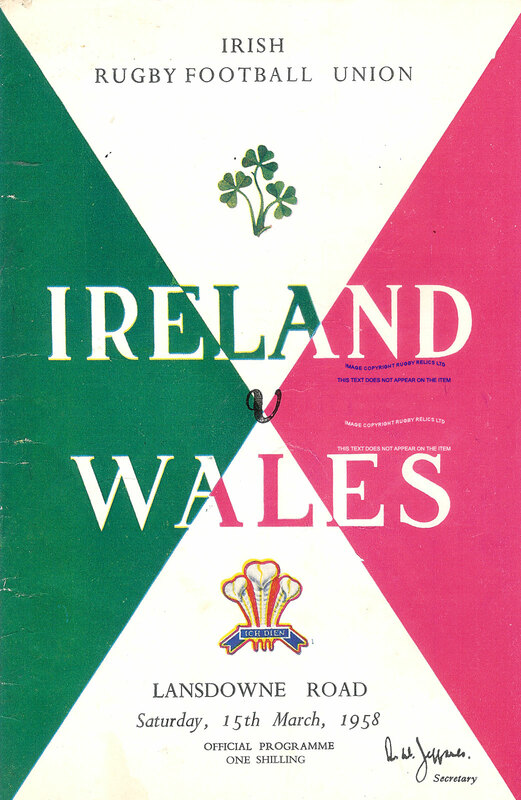 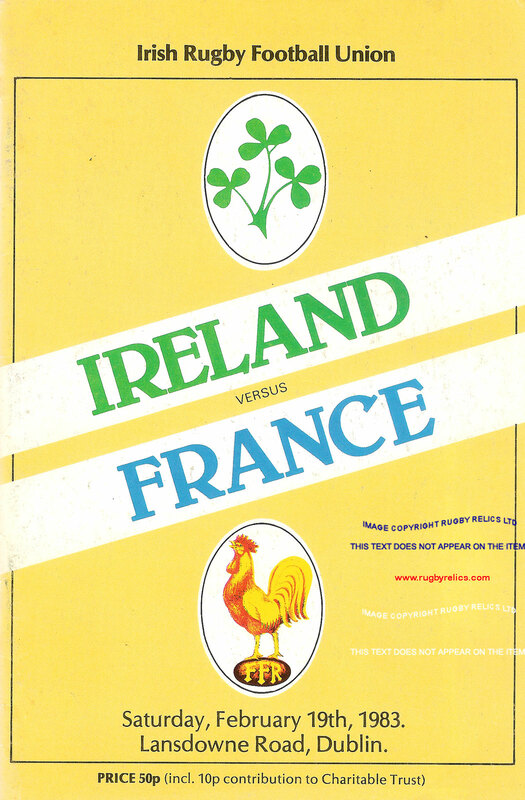 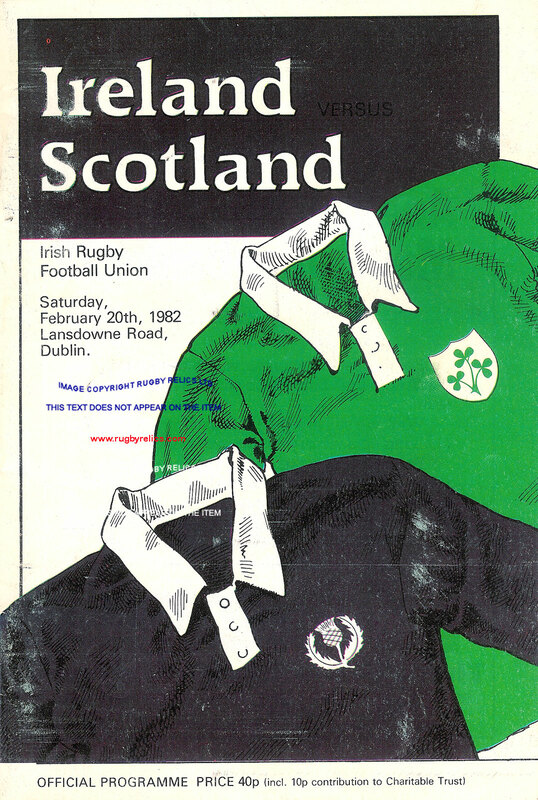 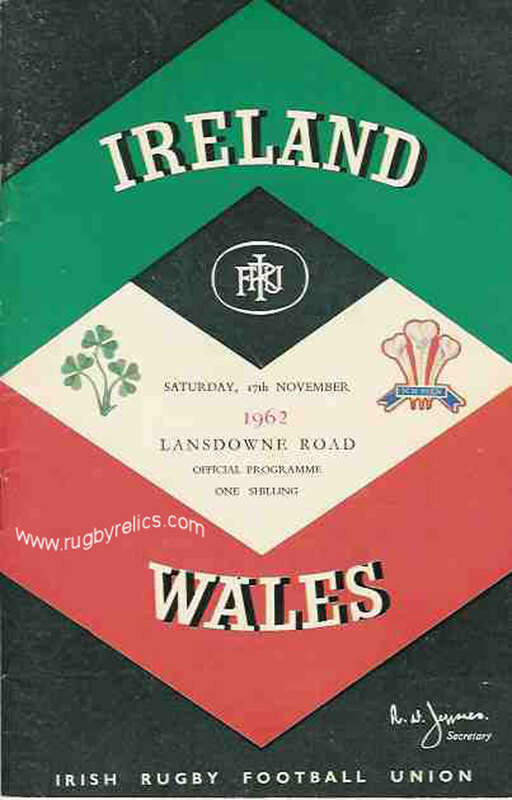 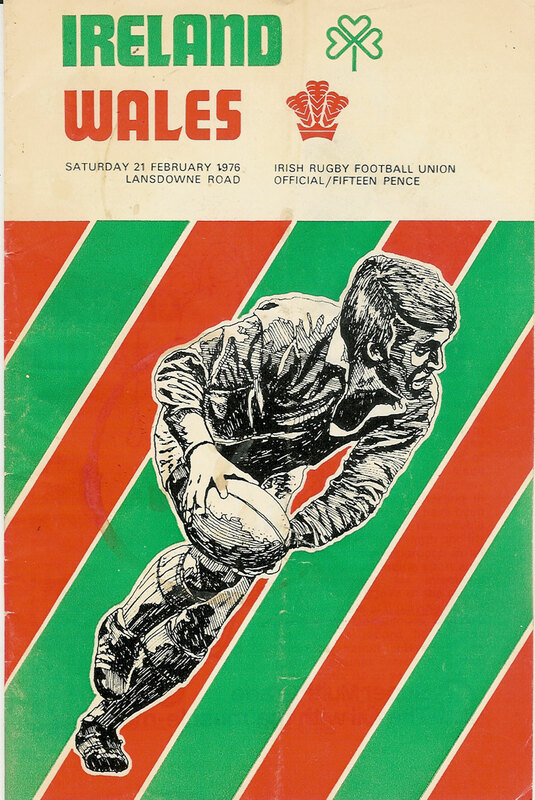 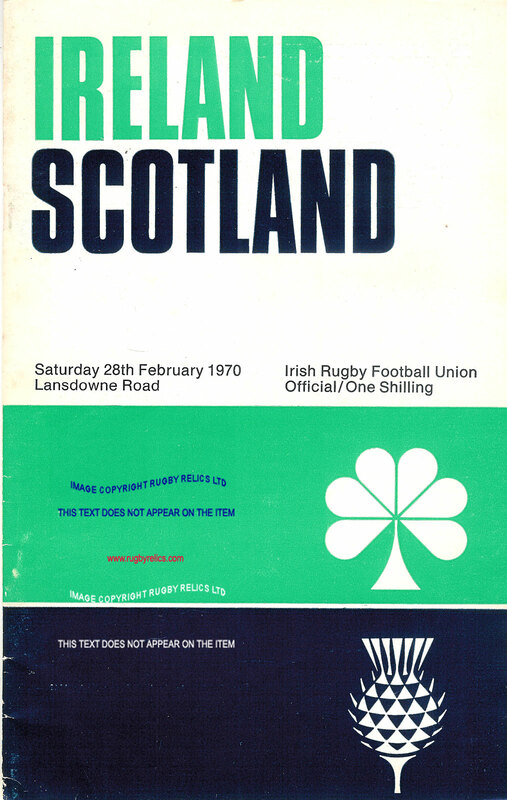 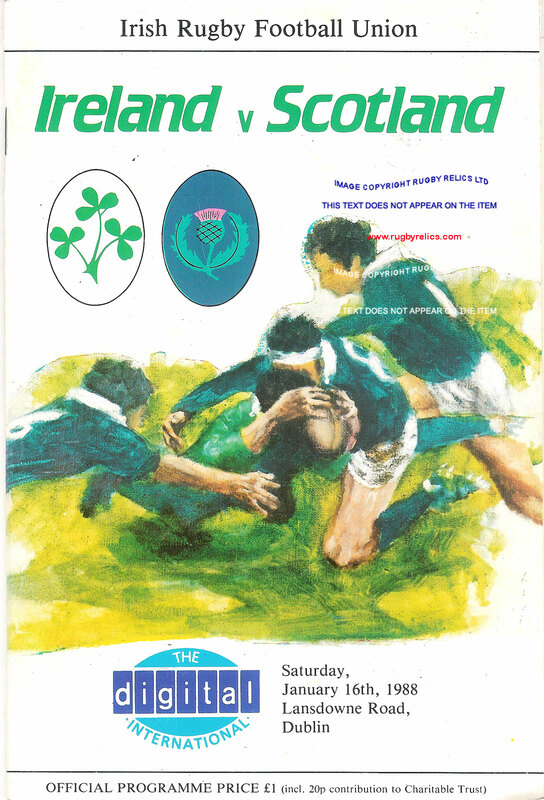 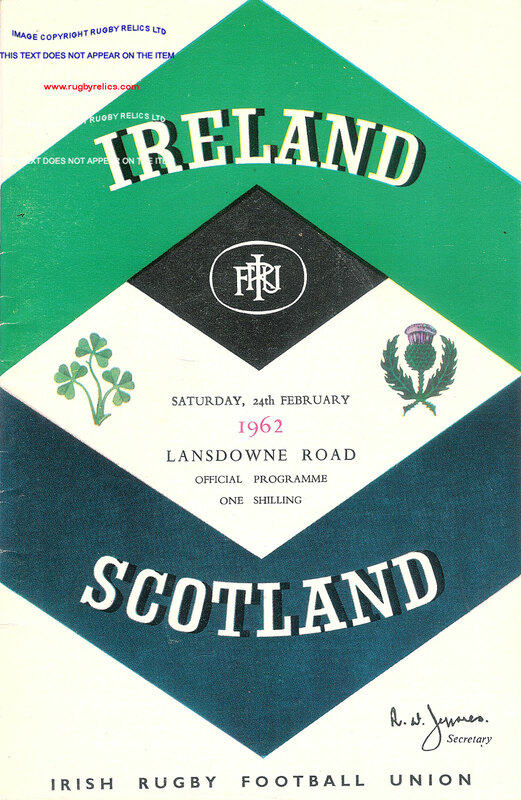 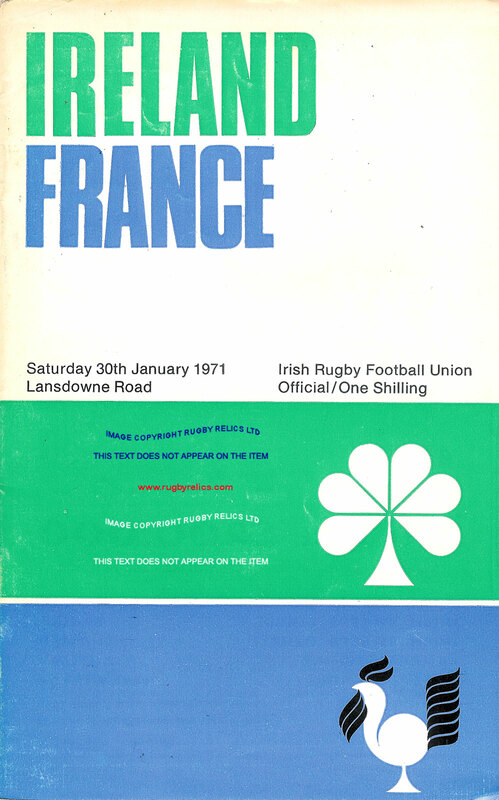 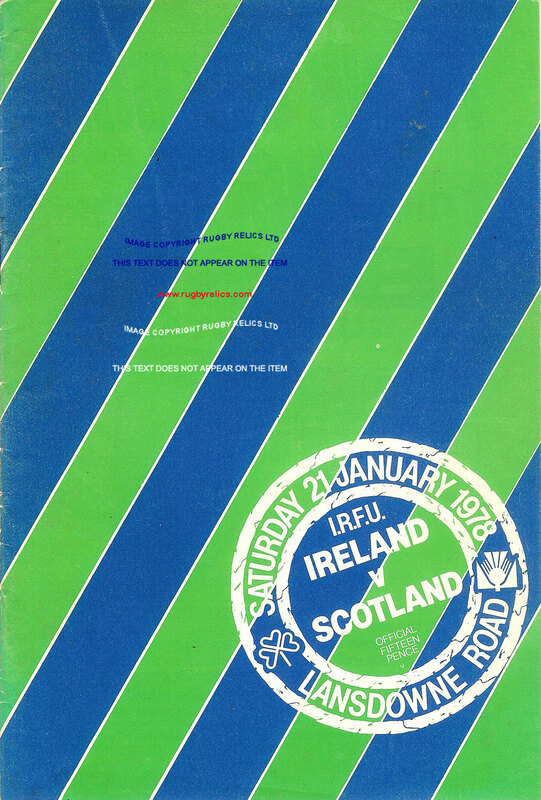 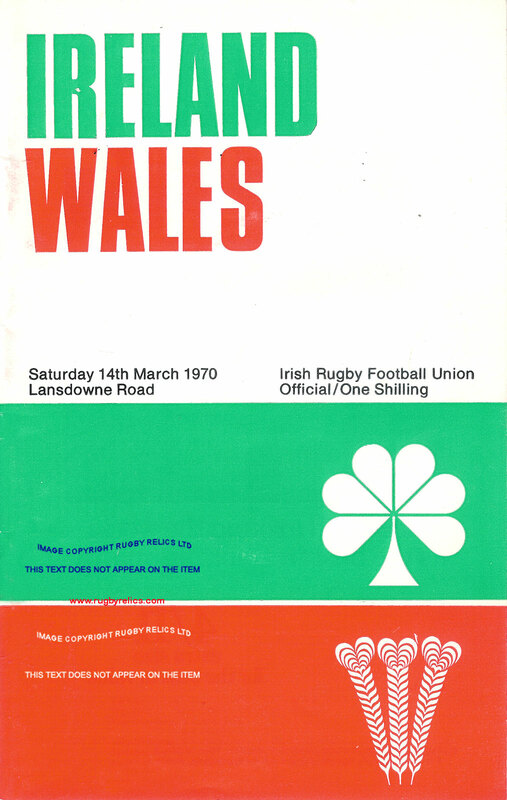 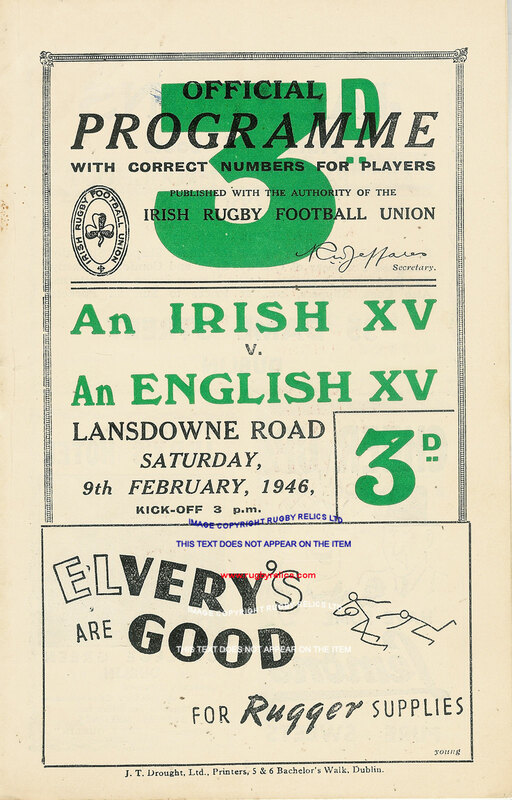 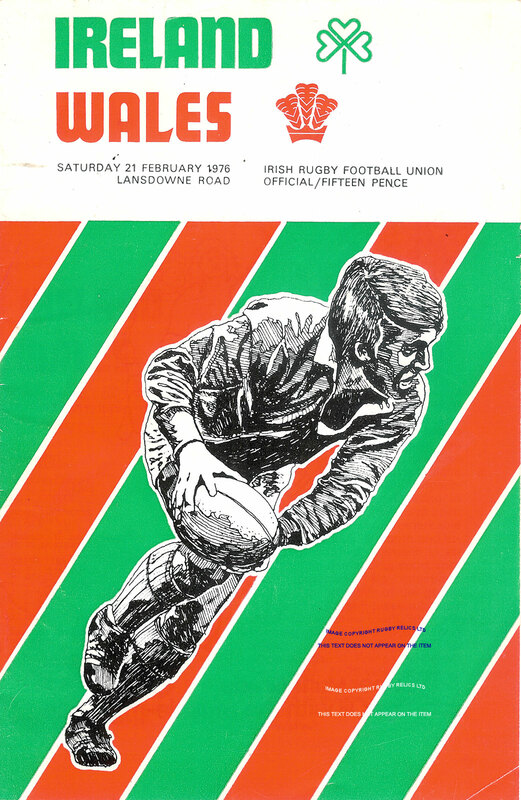 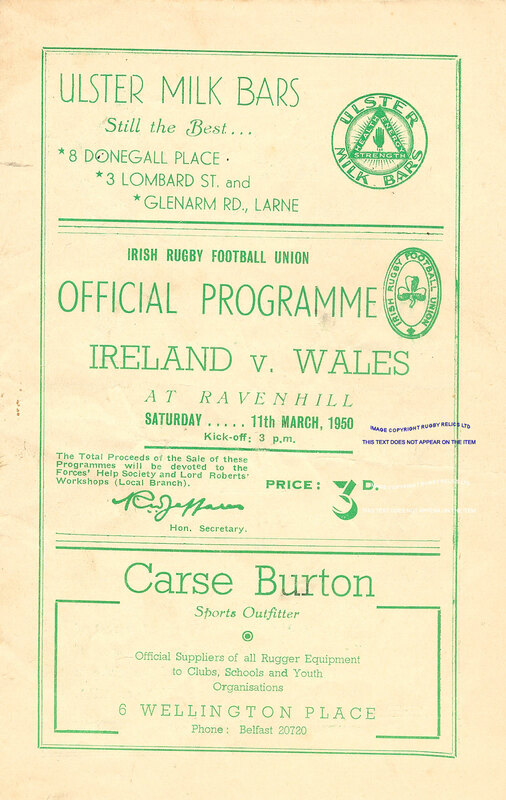 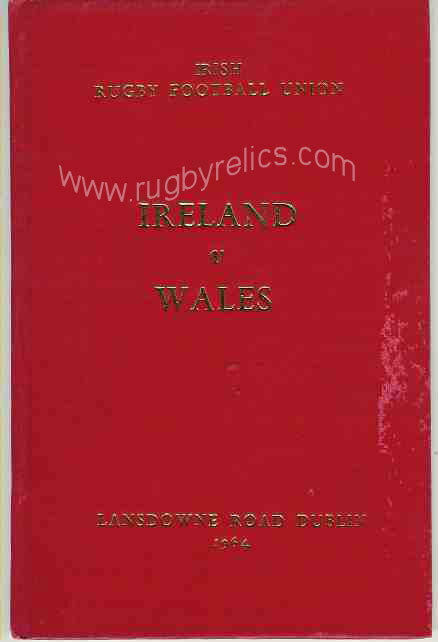 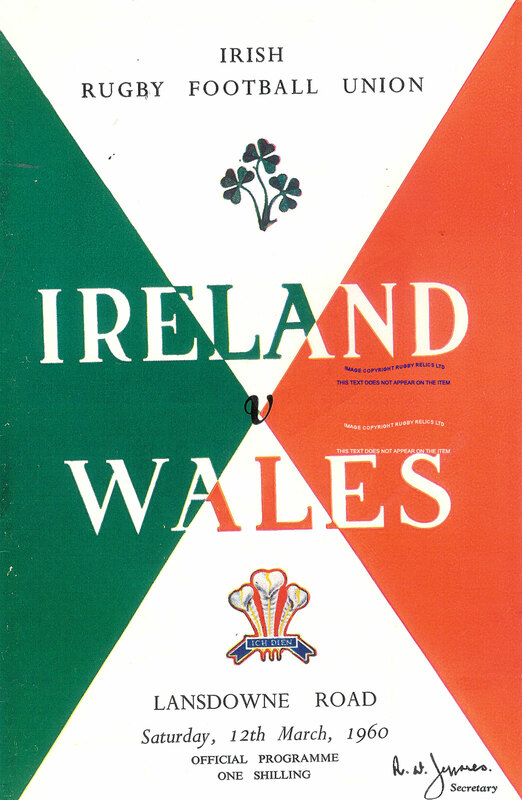 For programmes of international matches played away by Ireland - click on the teams below to be taken directly to programmes for Ireland versus that team away. 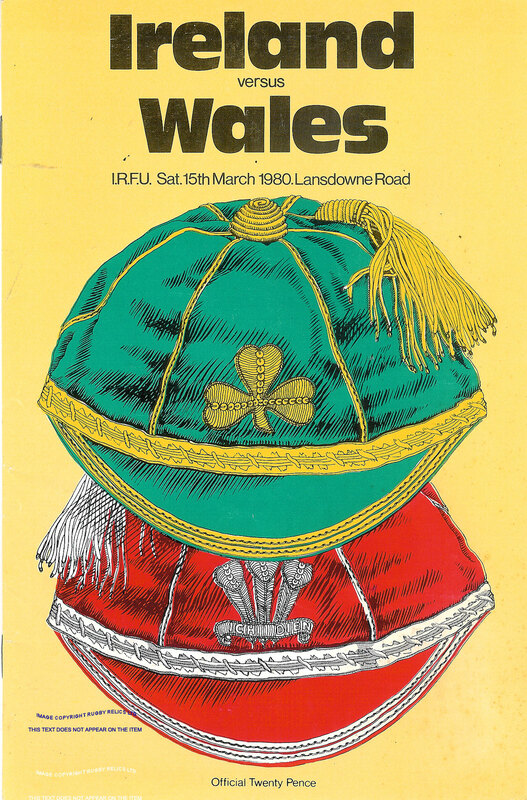 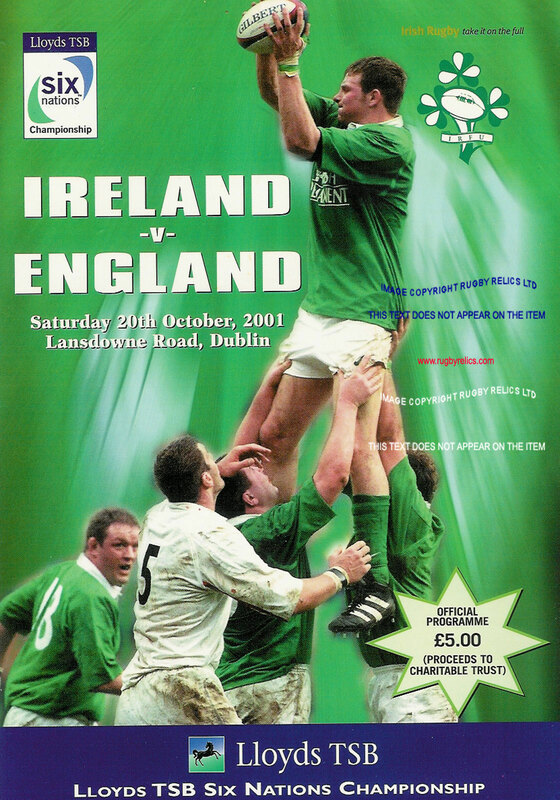 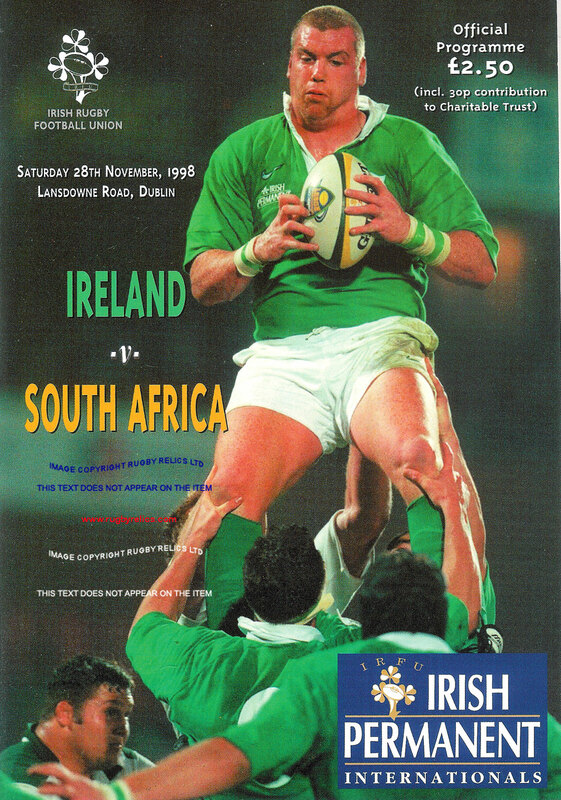 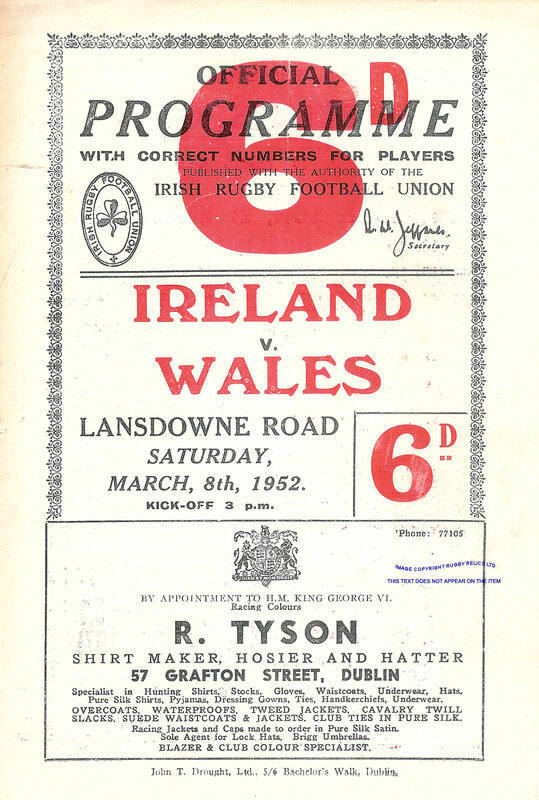 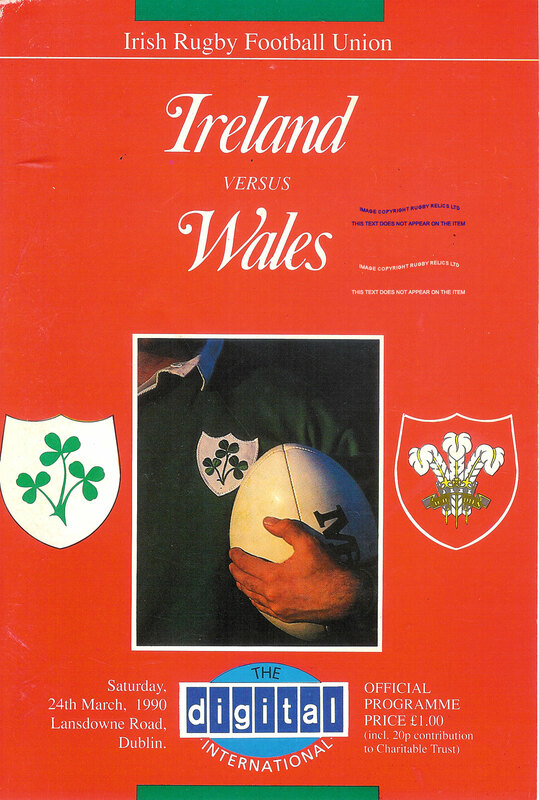 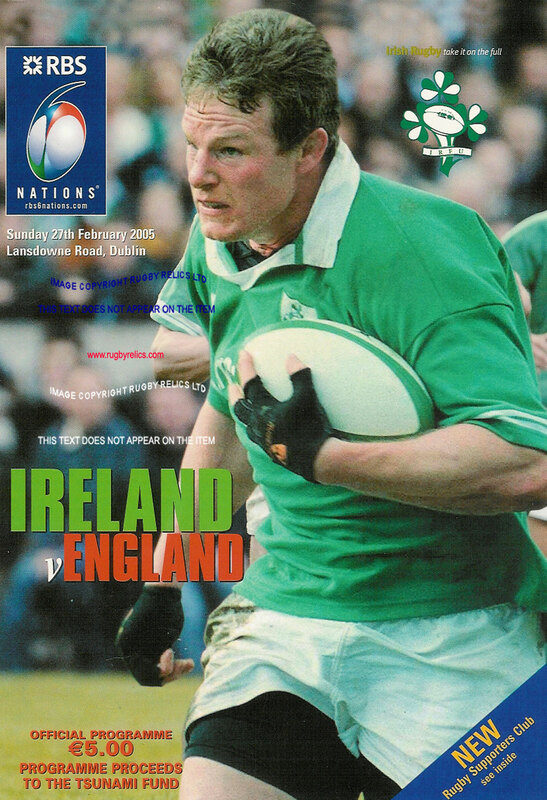 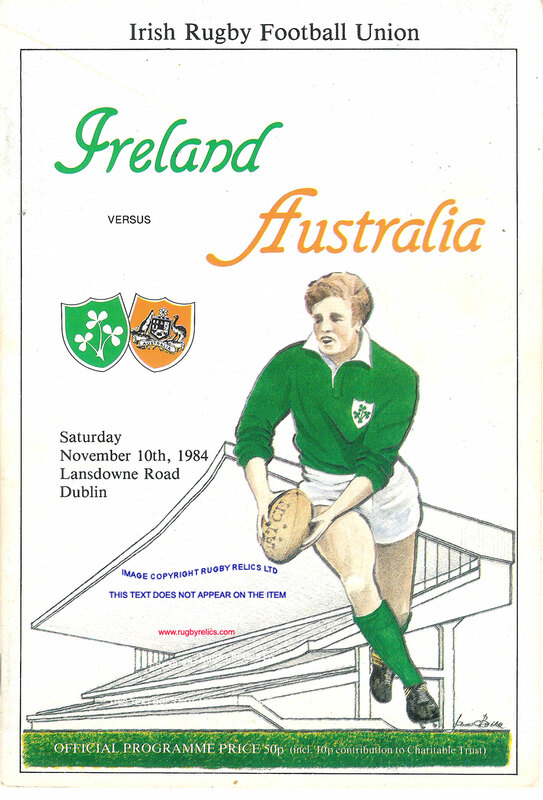 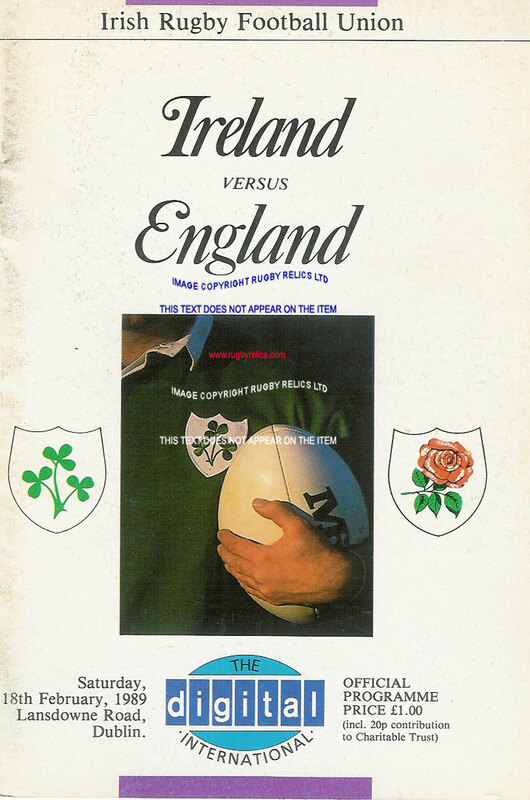 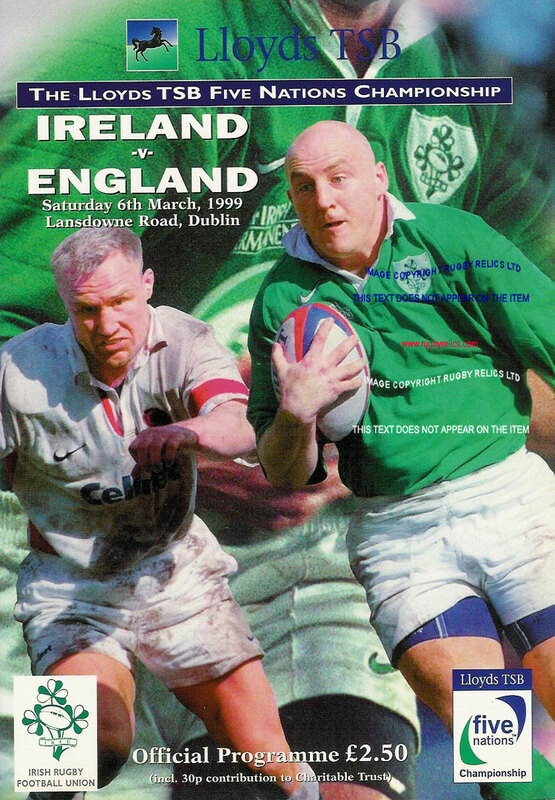 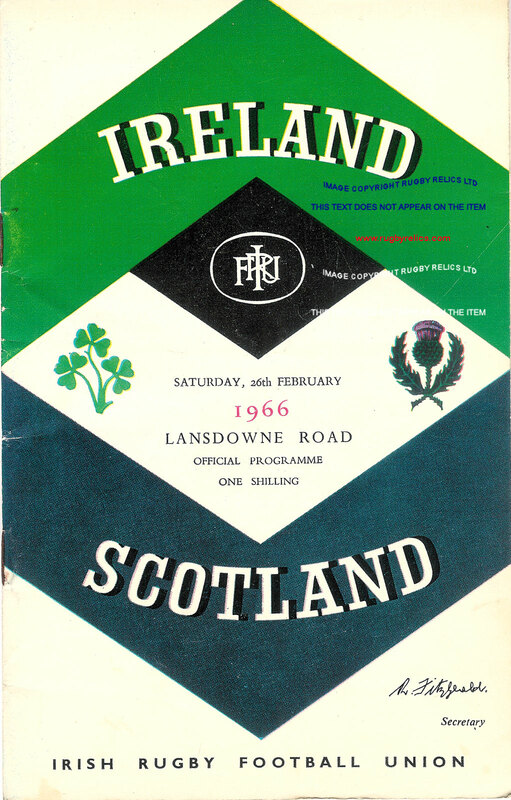 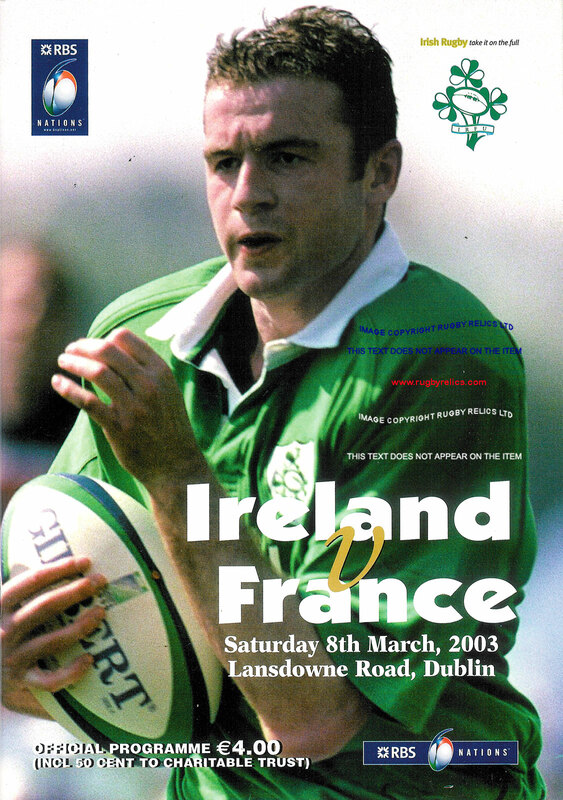 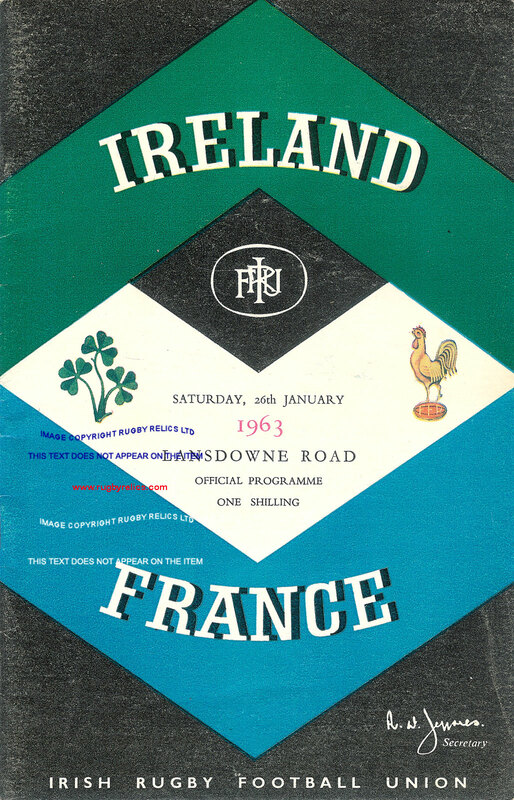 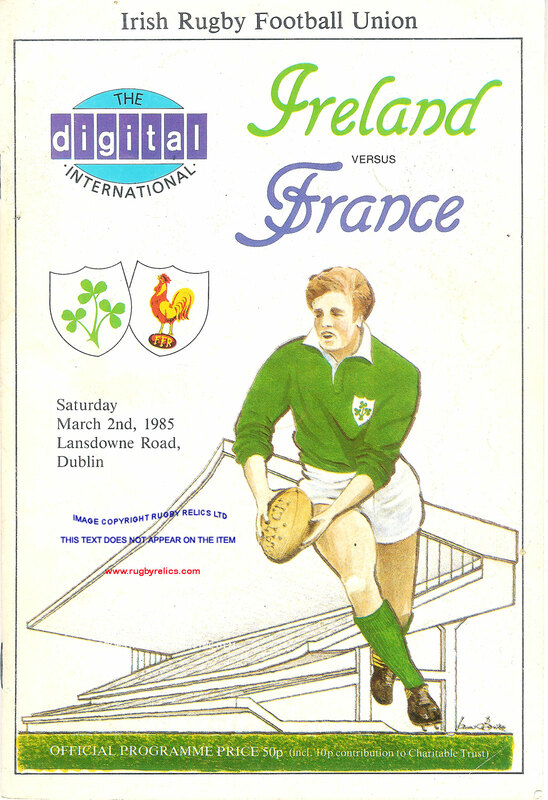 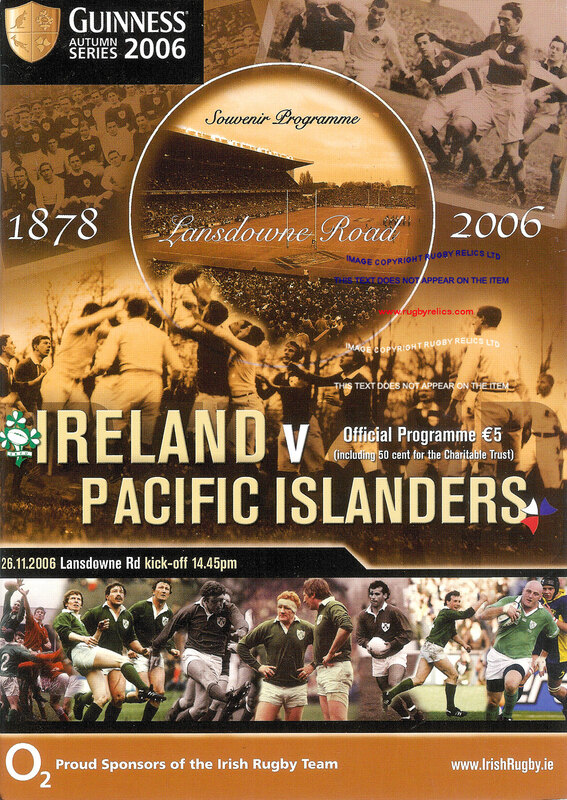 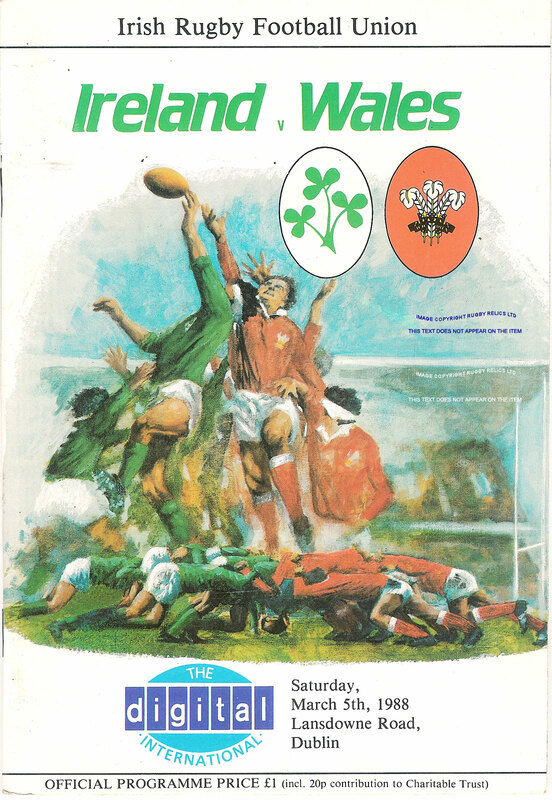 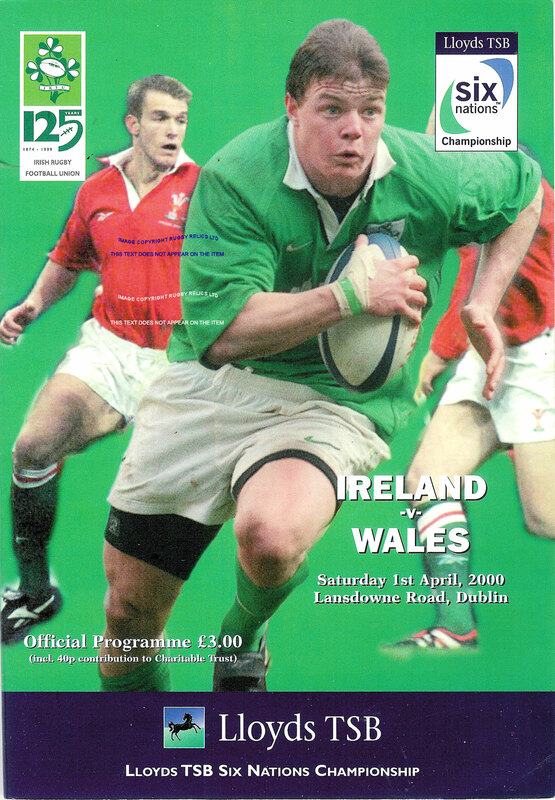 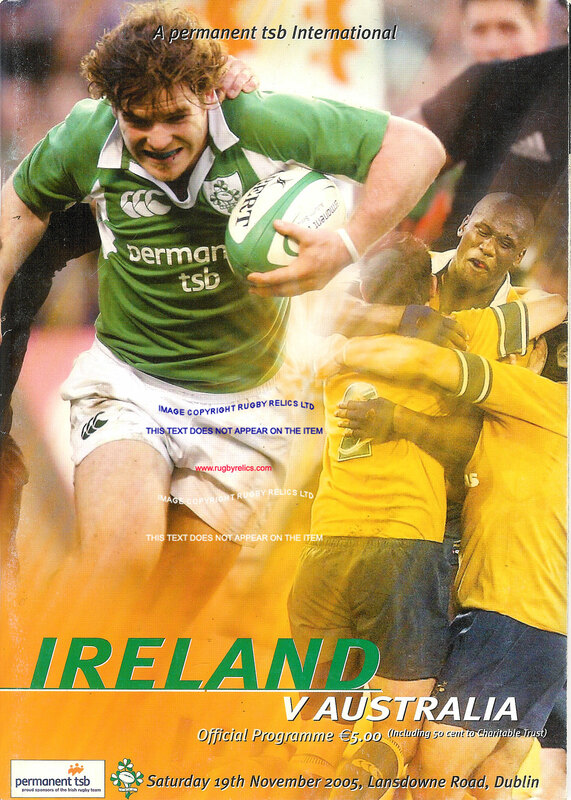 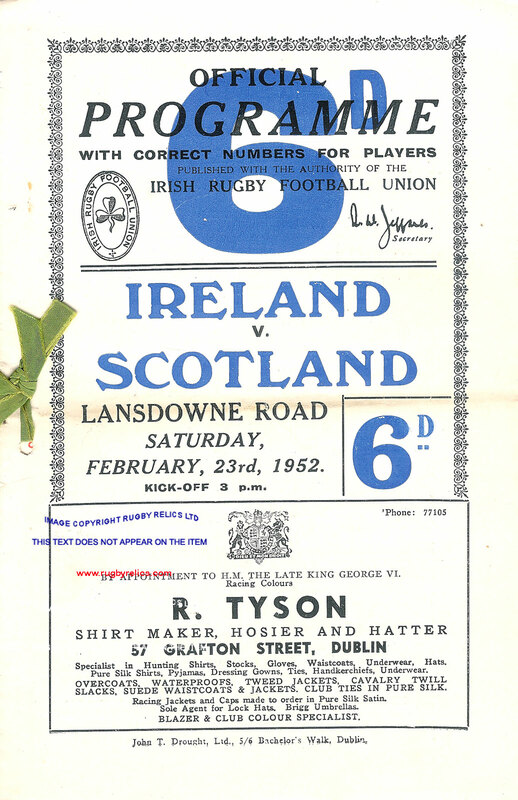 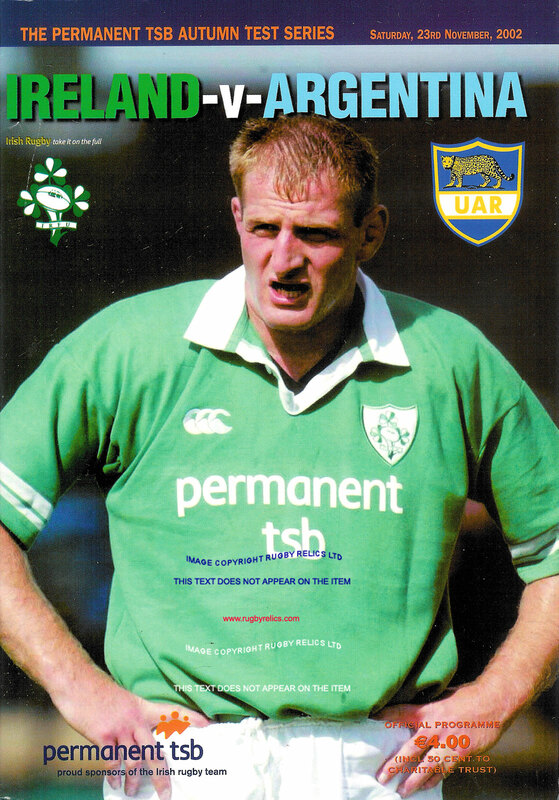 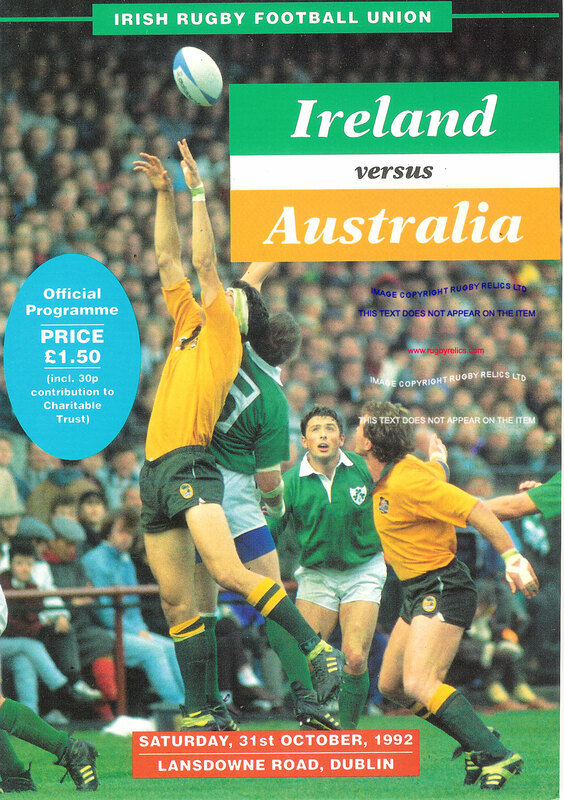 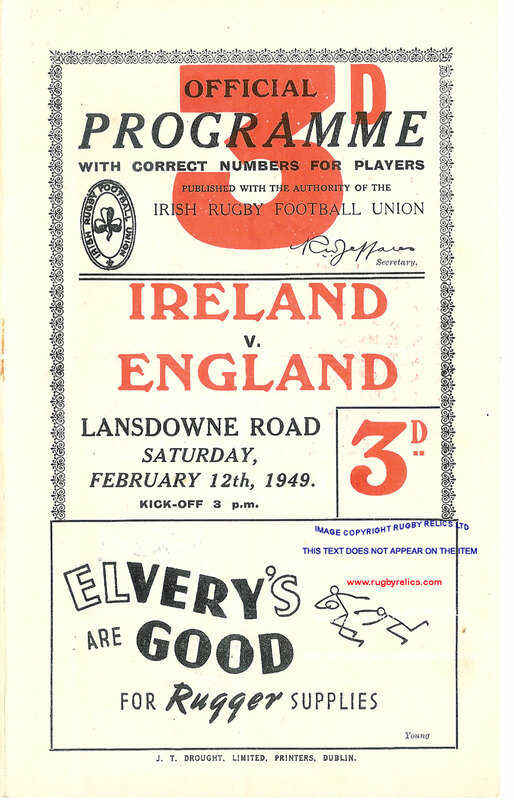 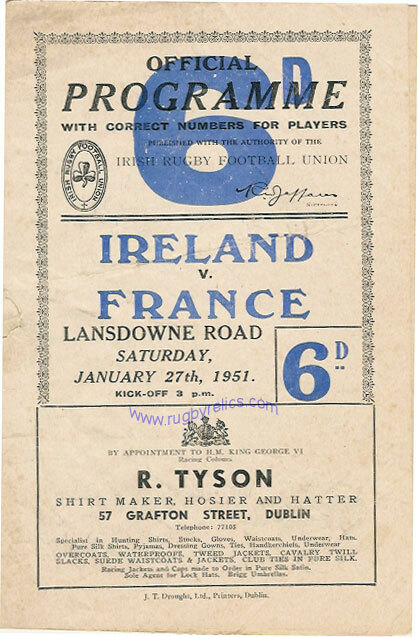 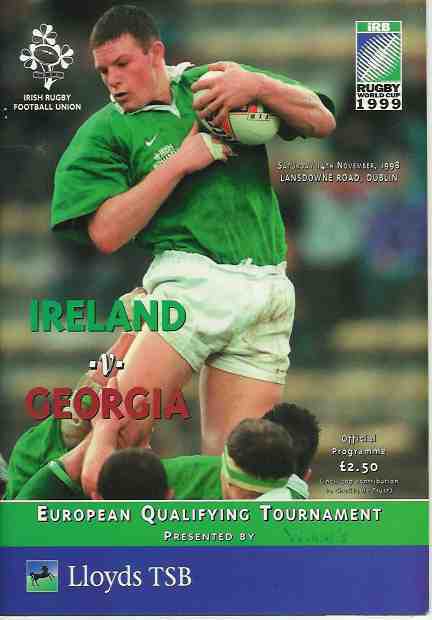 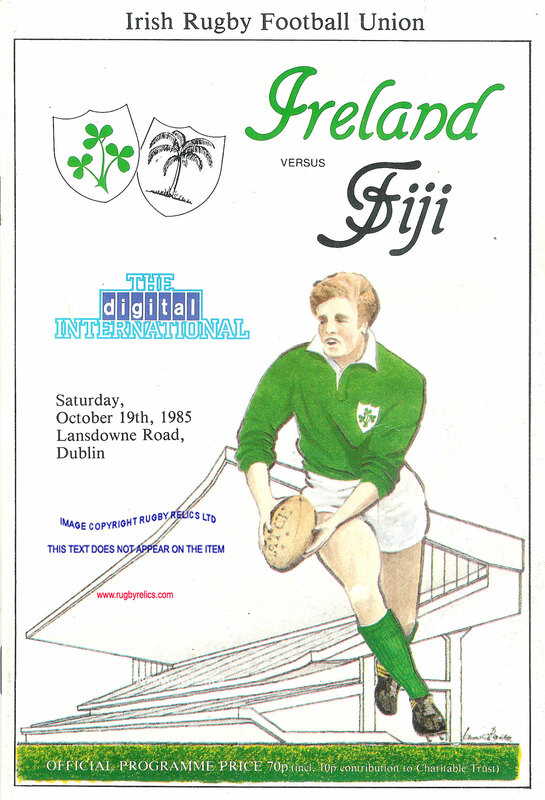 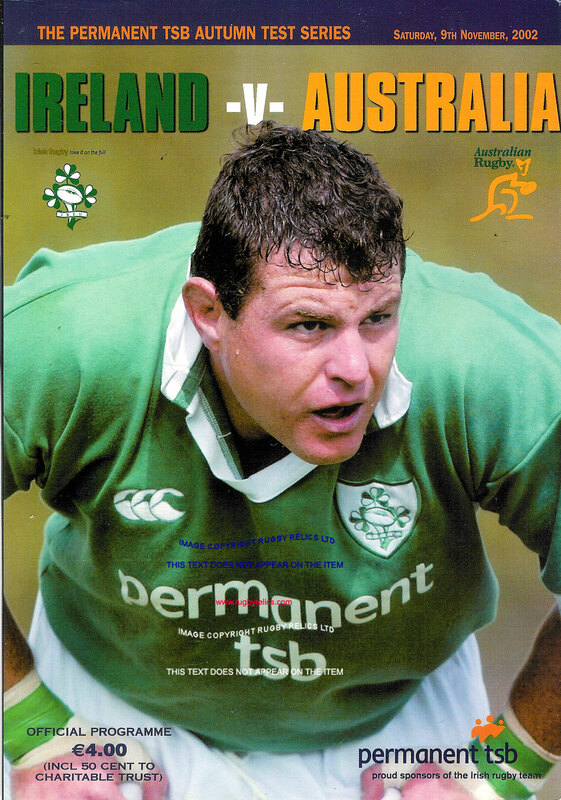 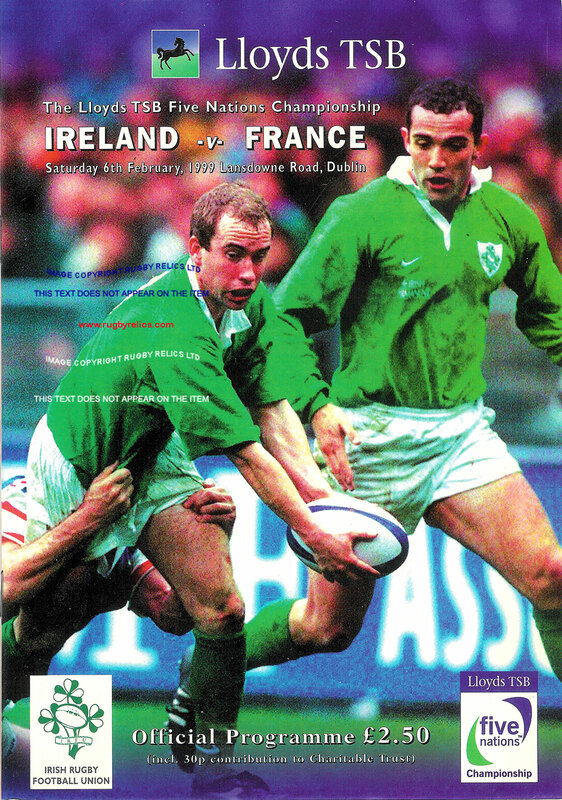 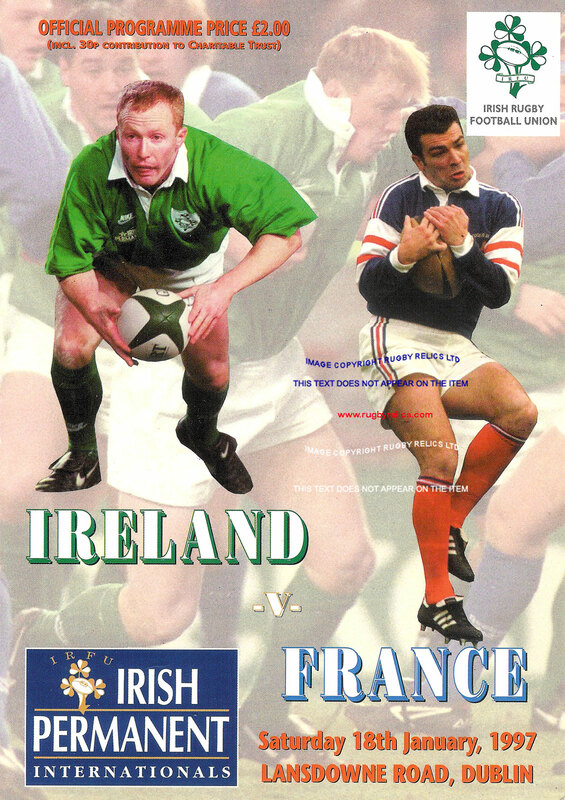 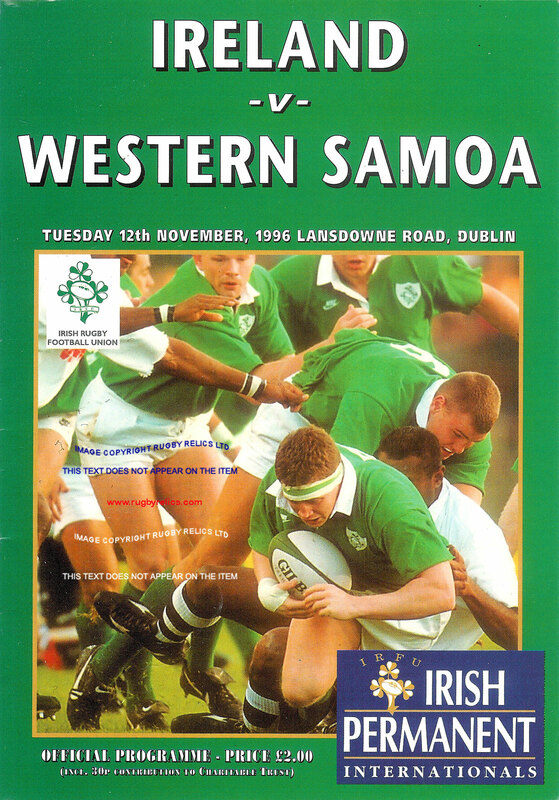 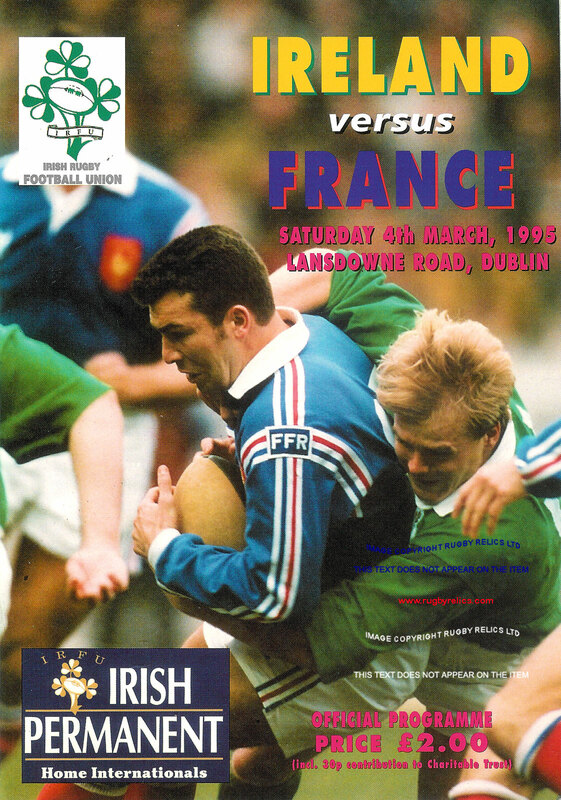 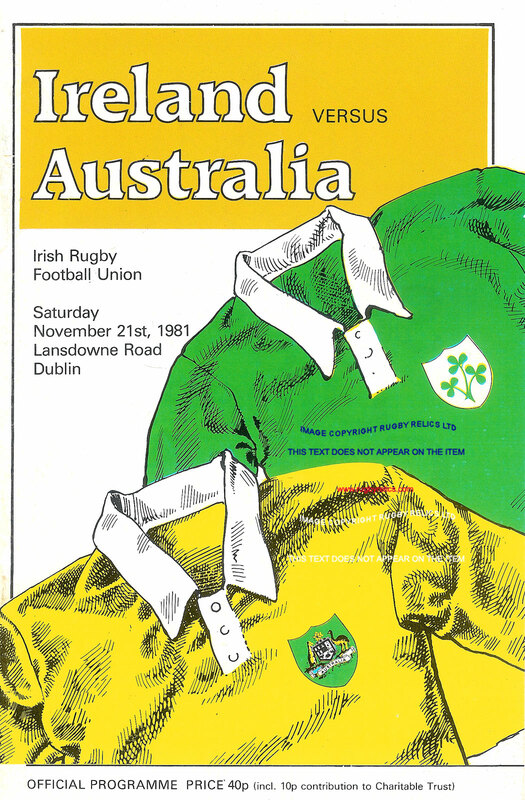 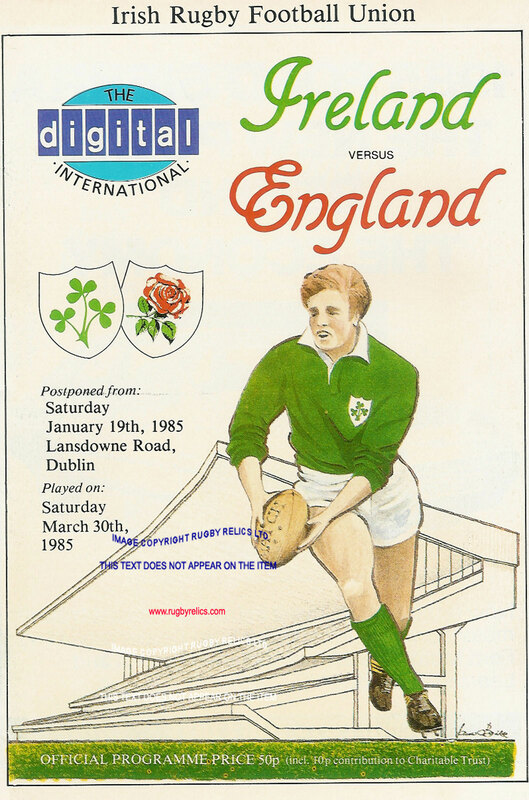 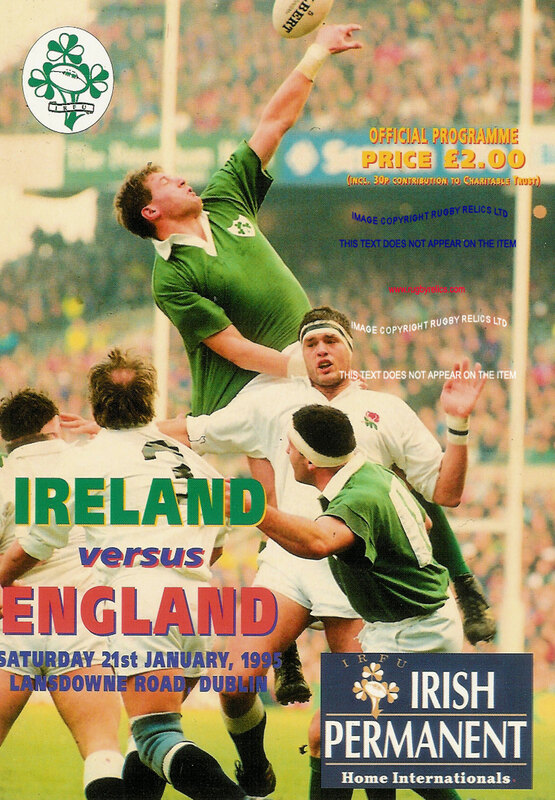 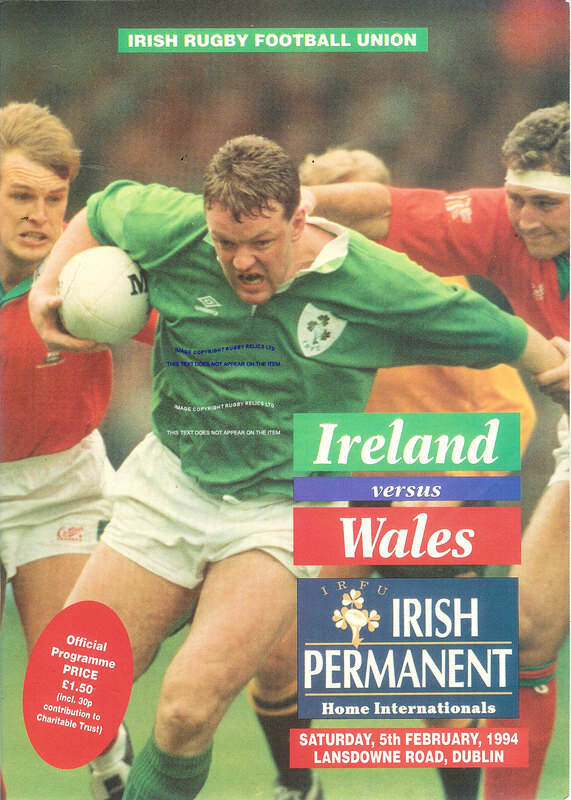 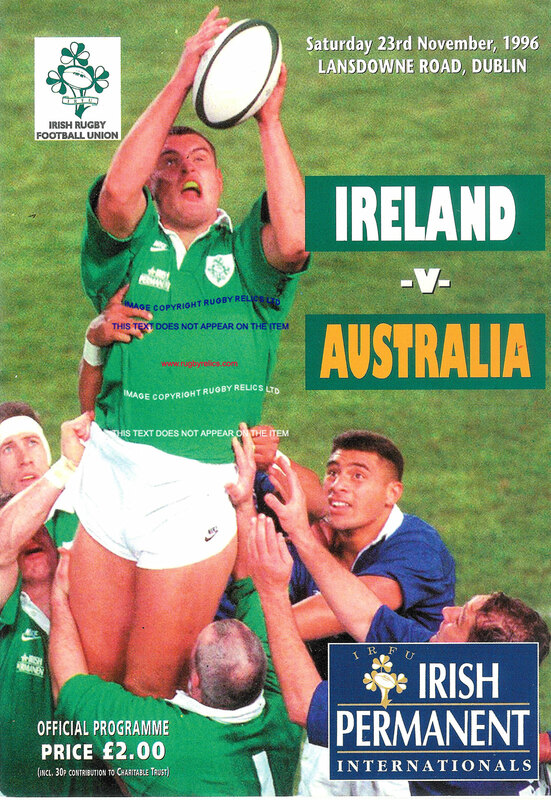 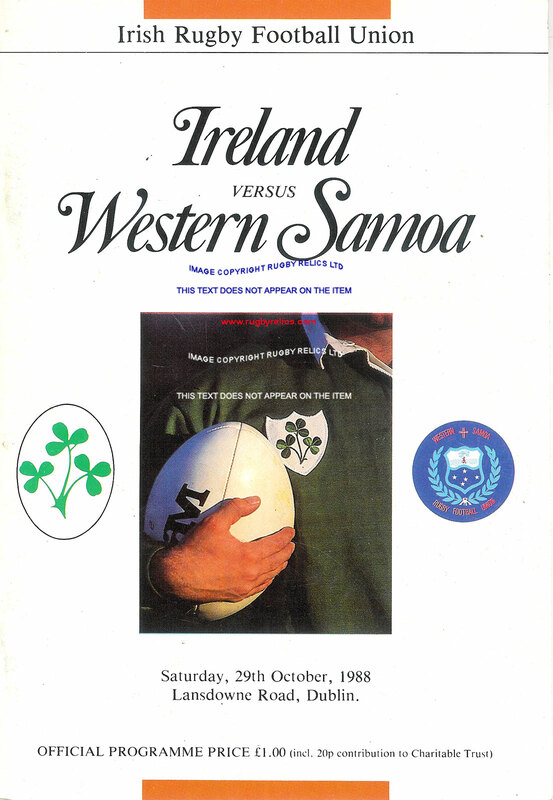 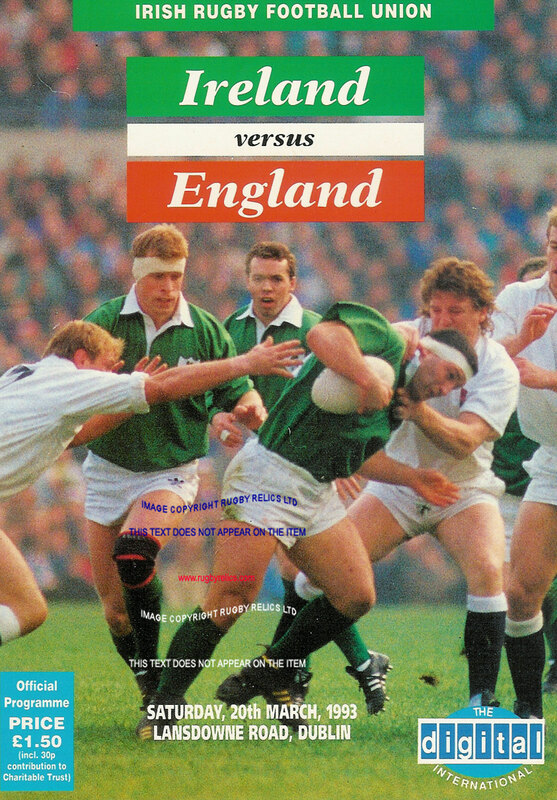 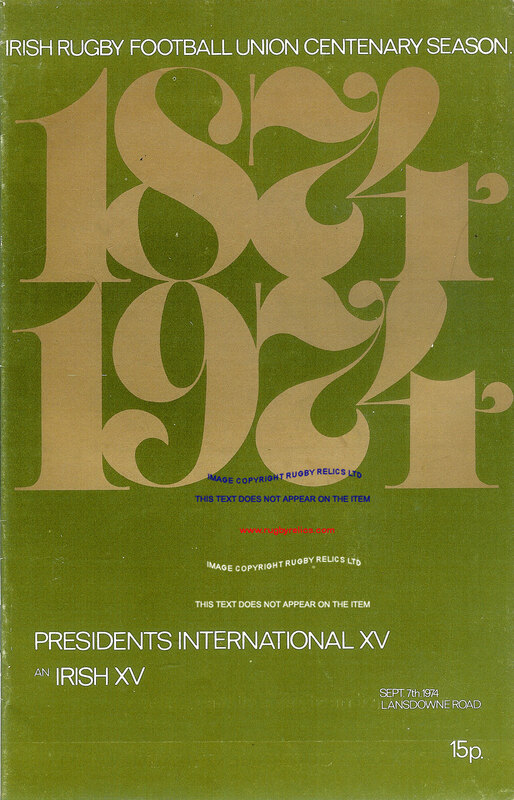 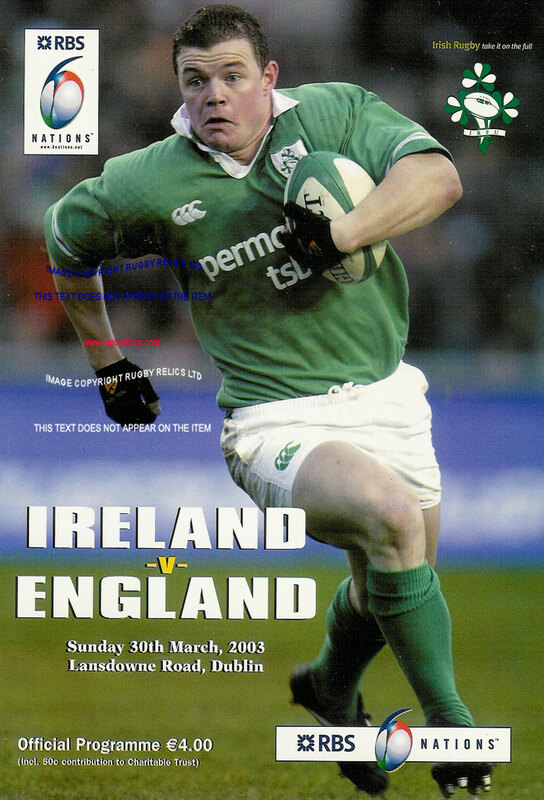 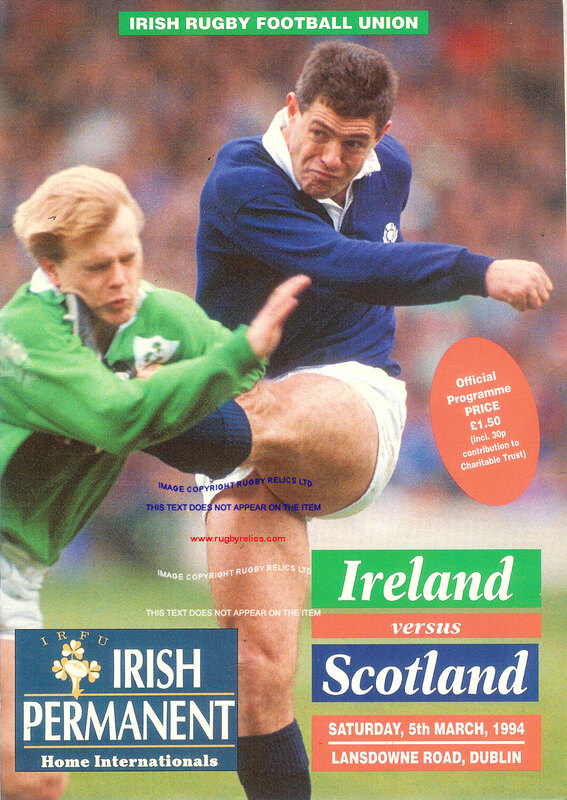 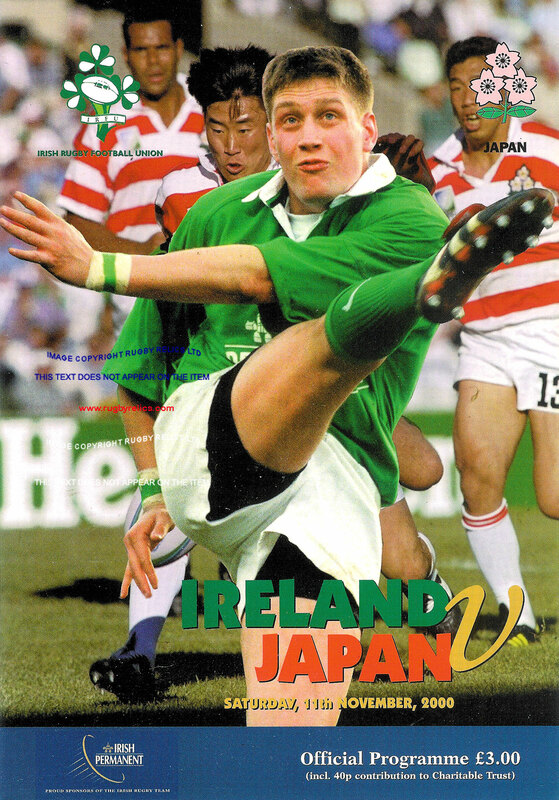 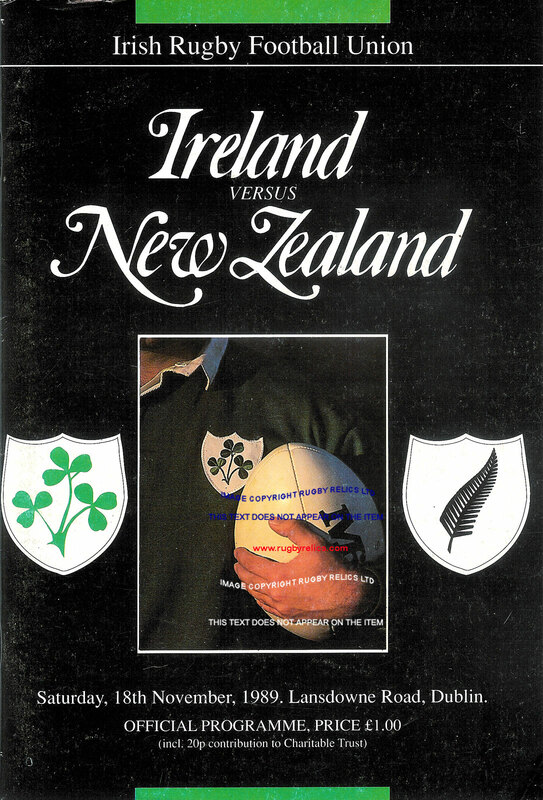 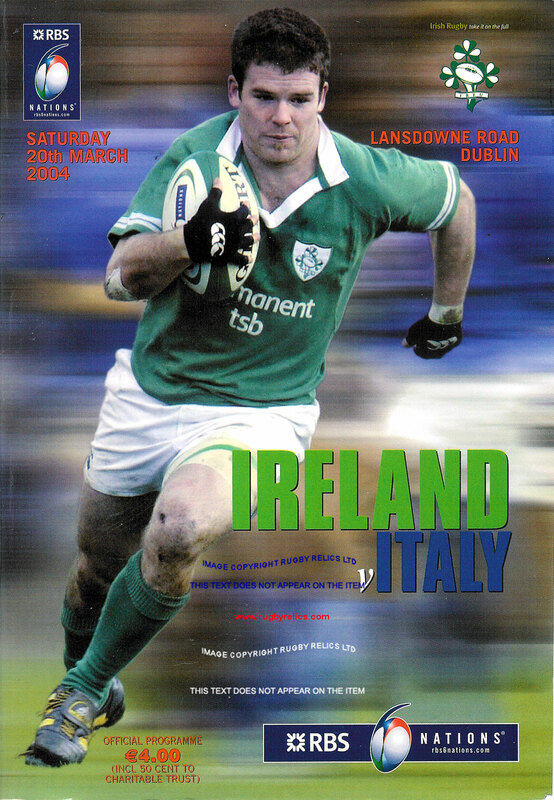 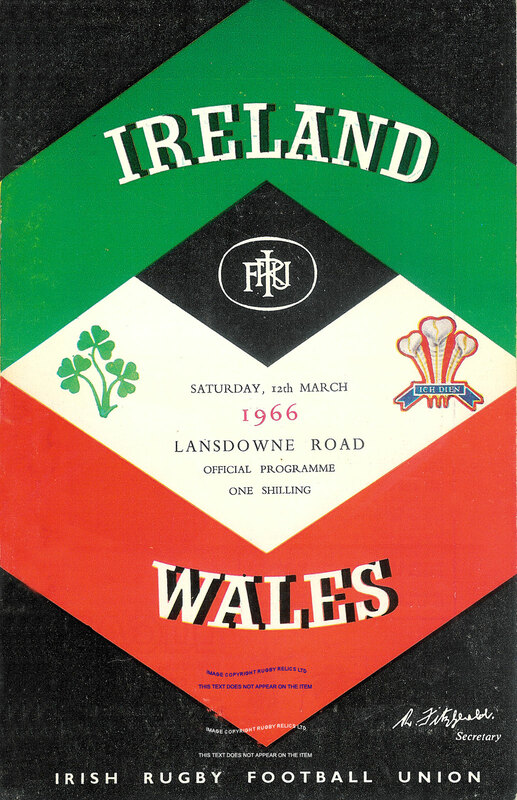 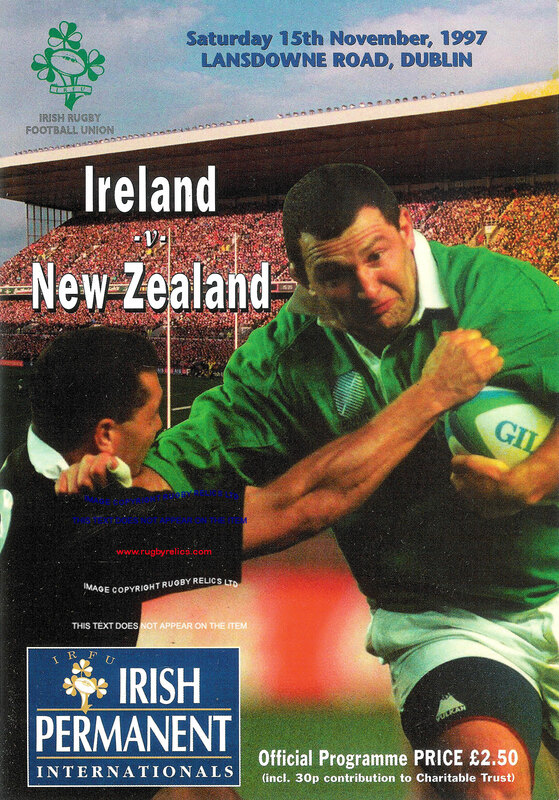 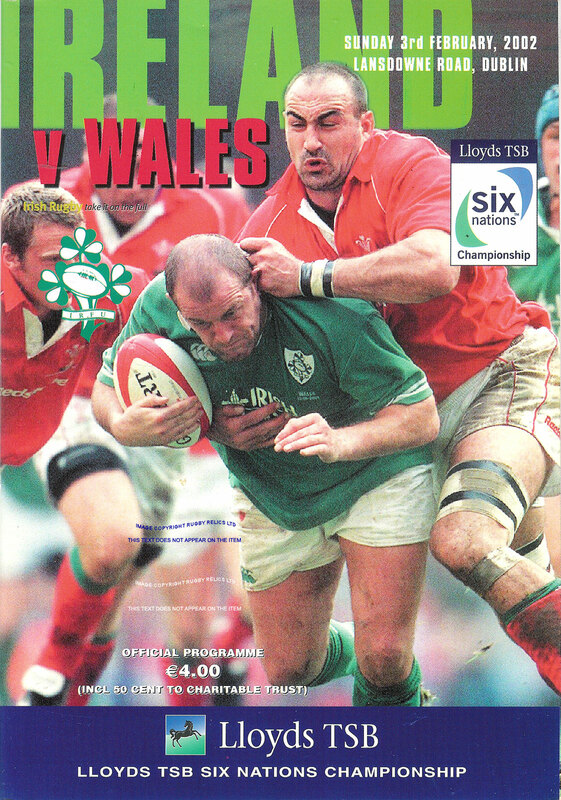 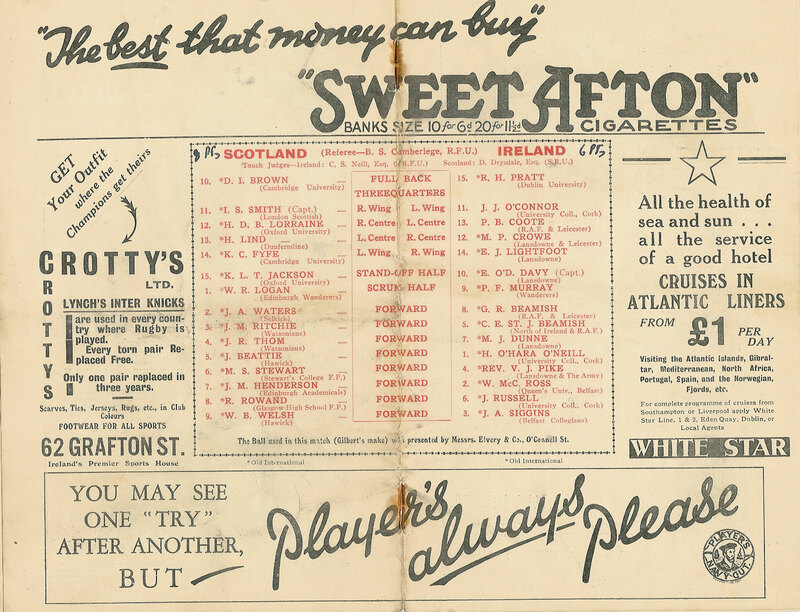 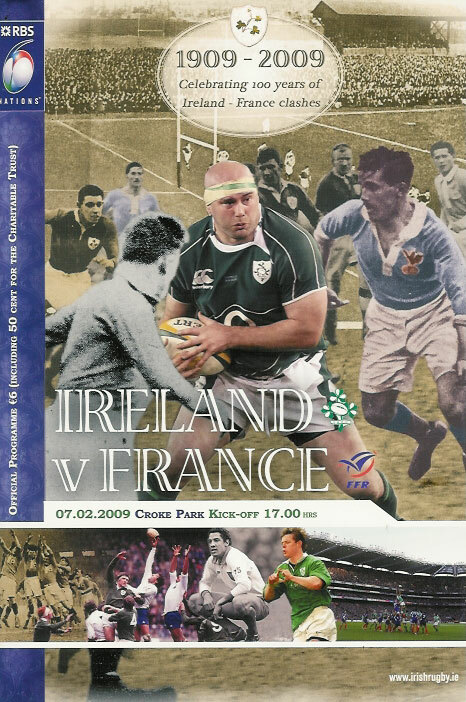 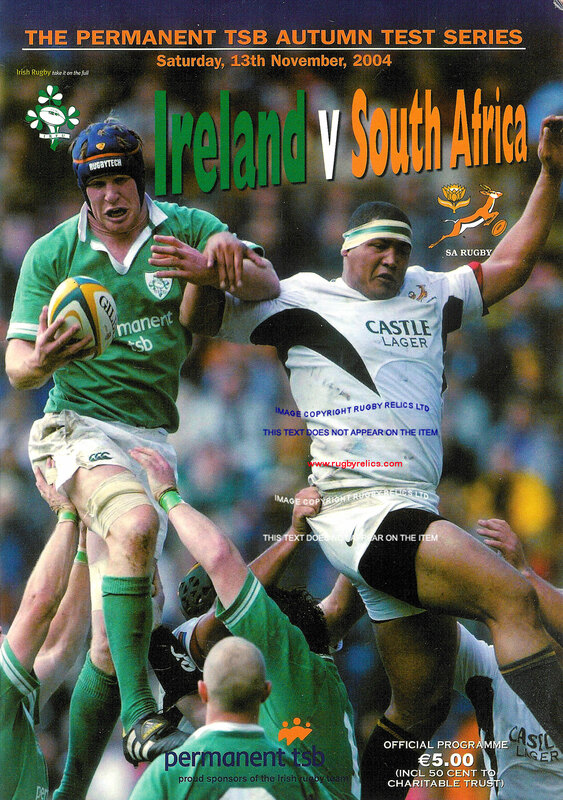 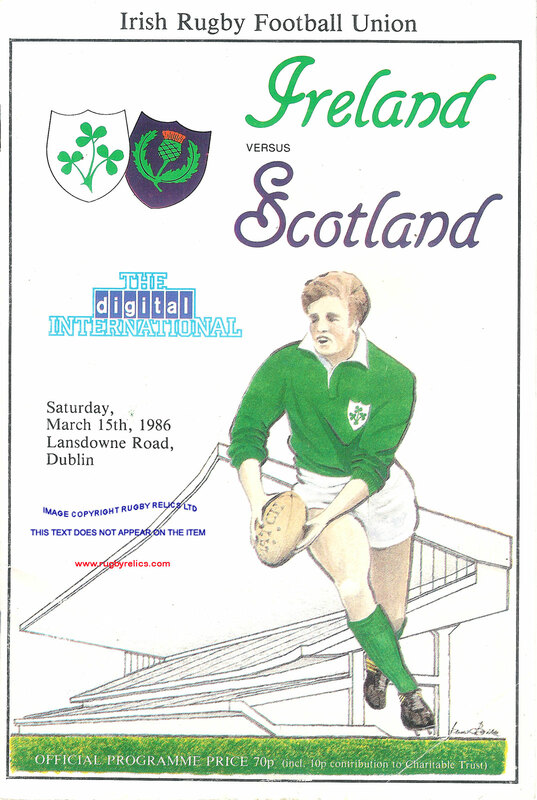 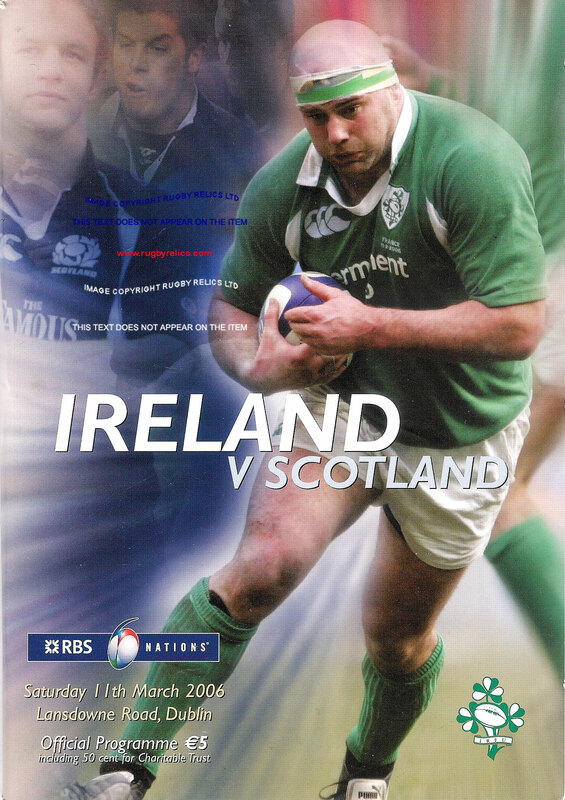 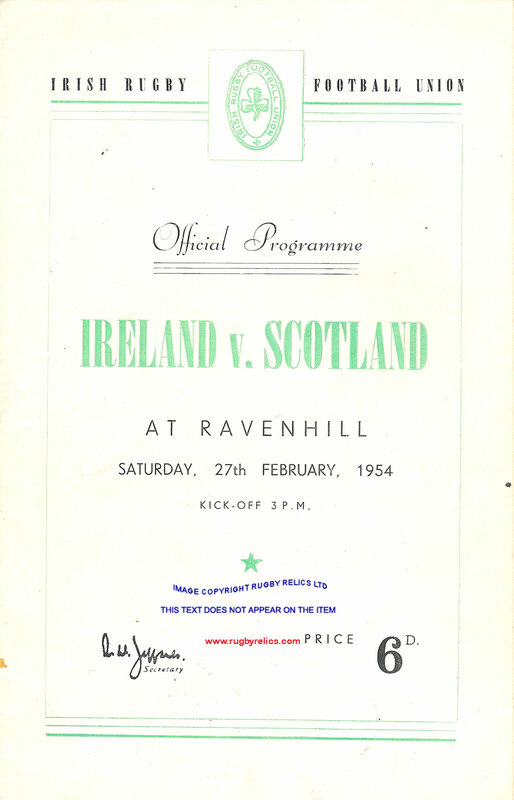 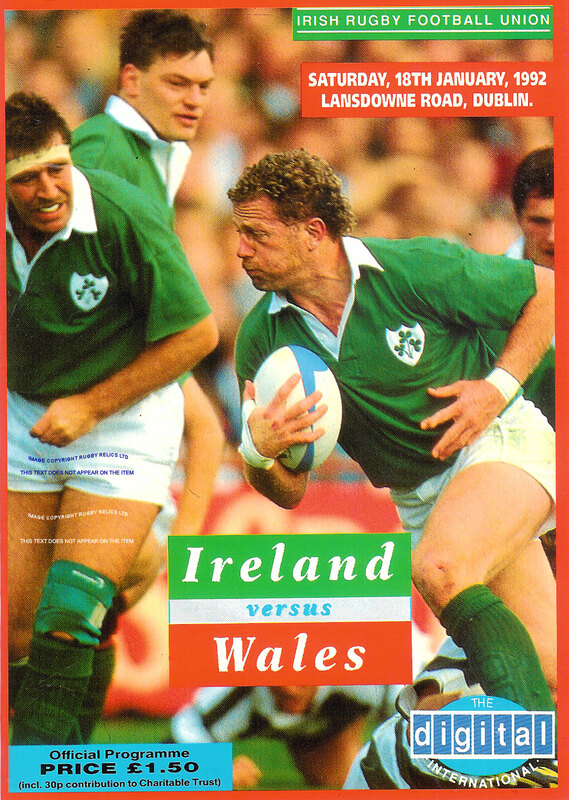 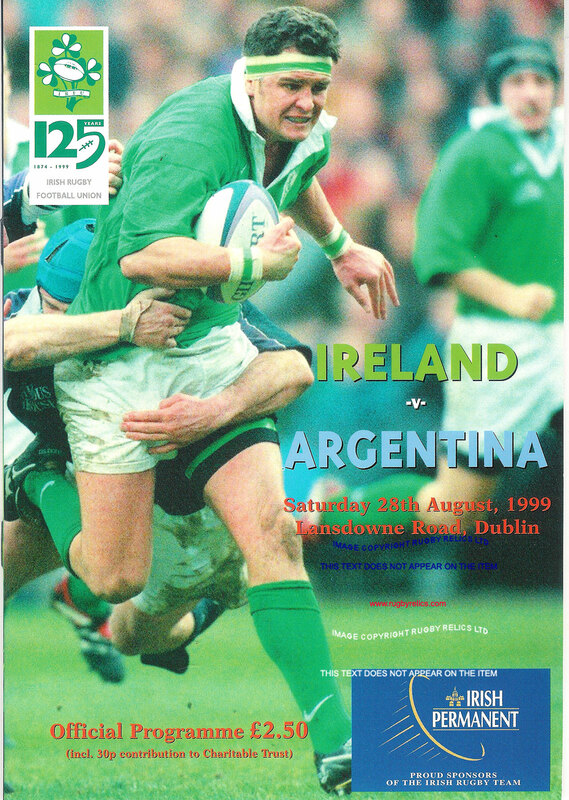 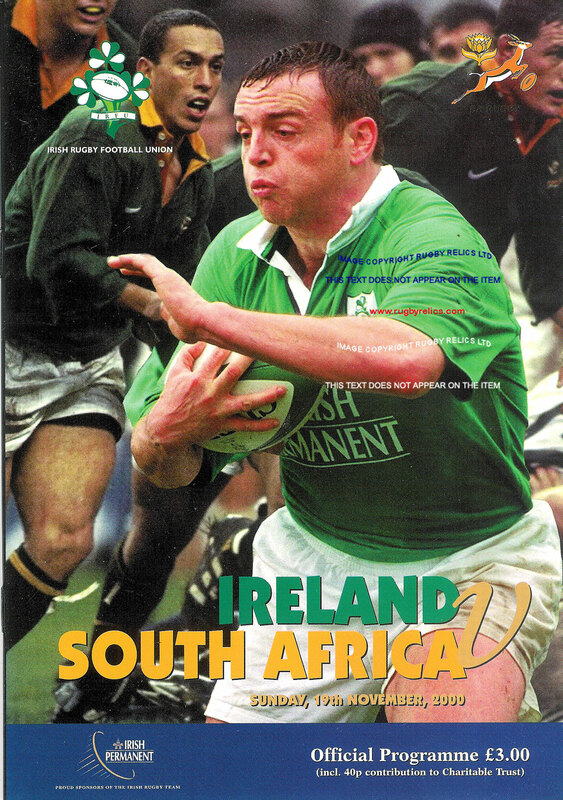 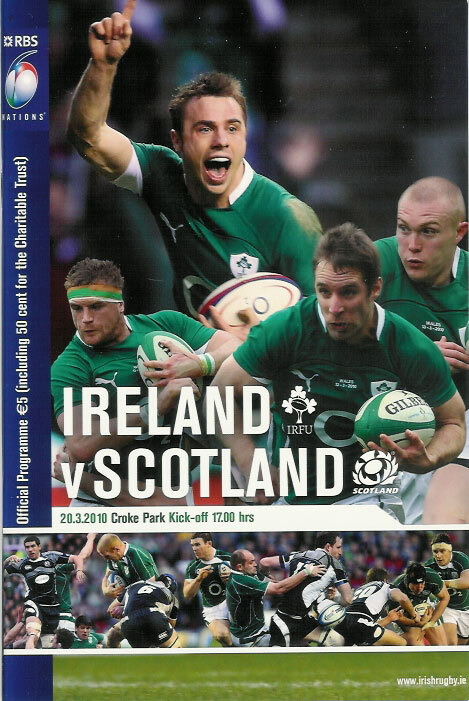 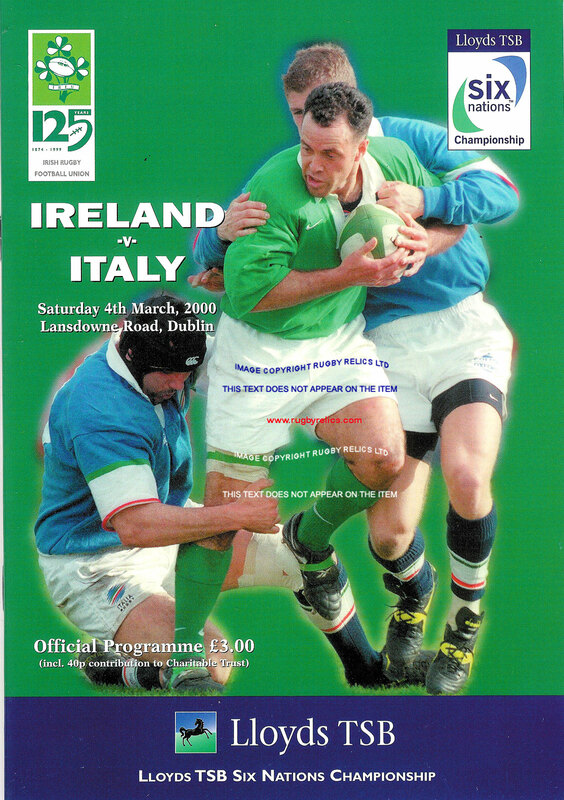 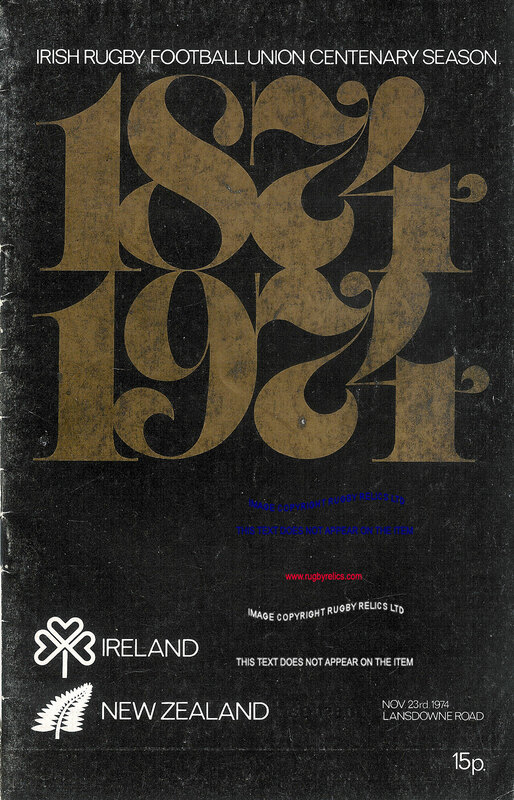 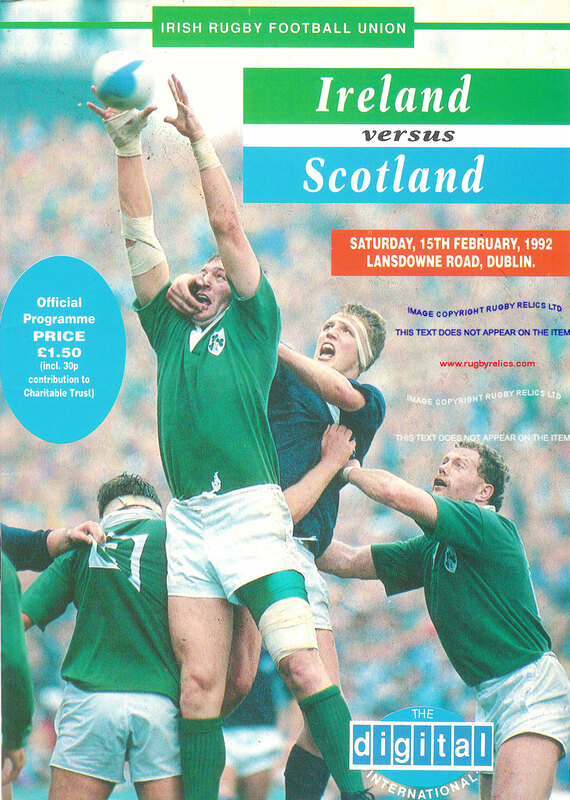 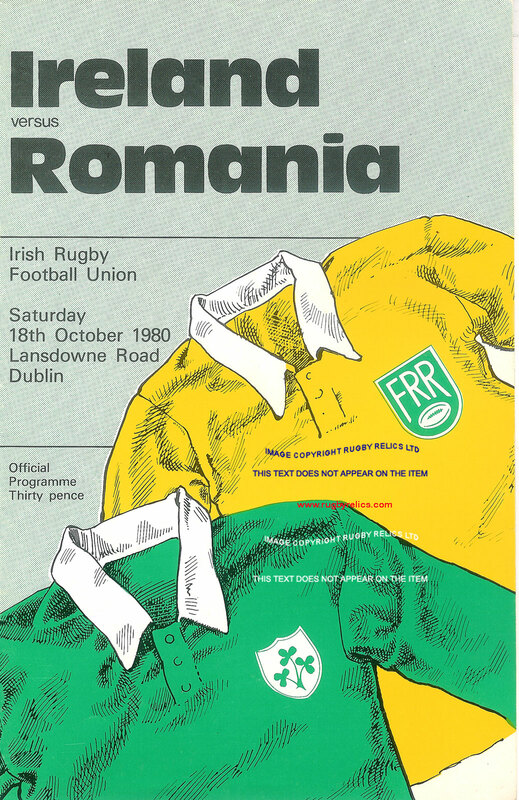 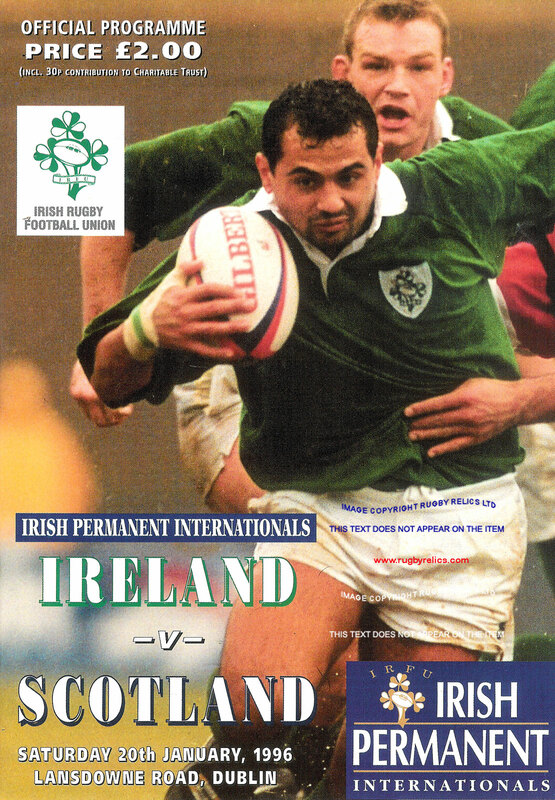 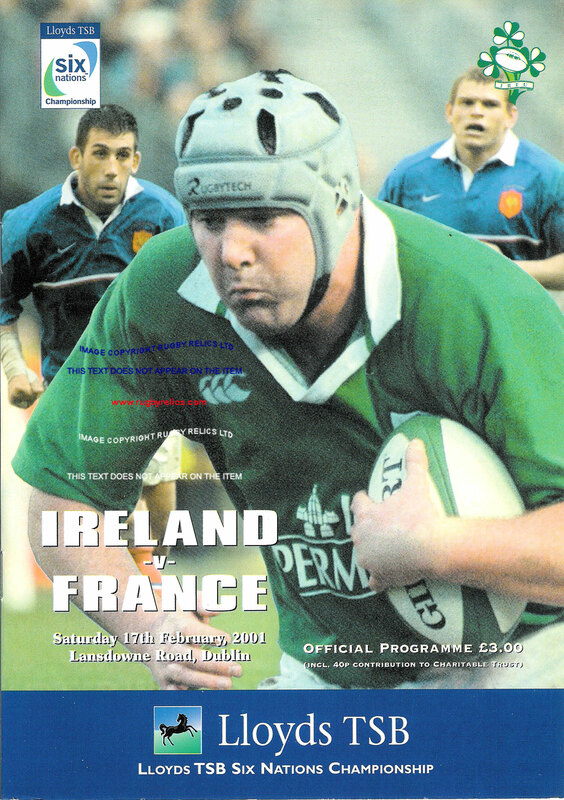 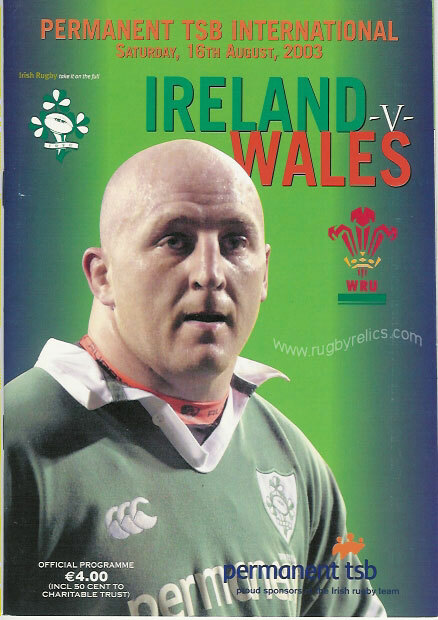 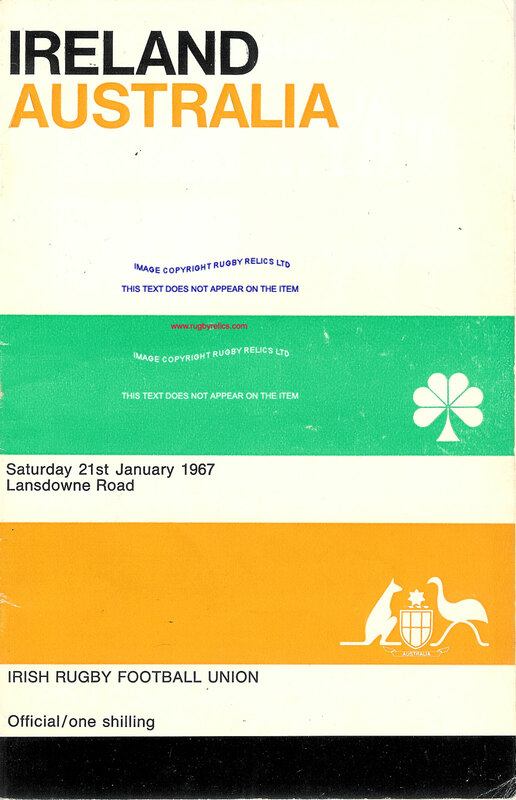 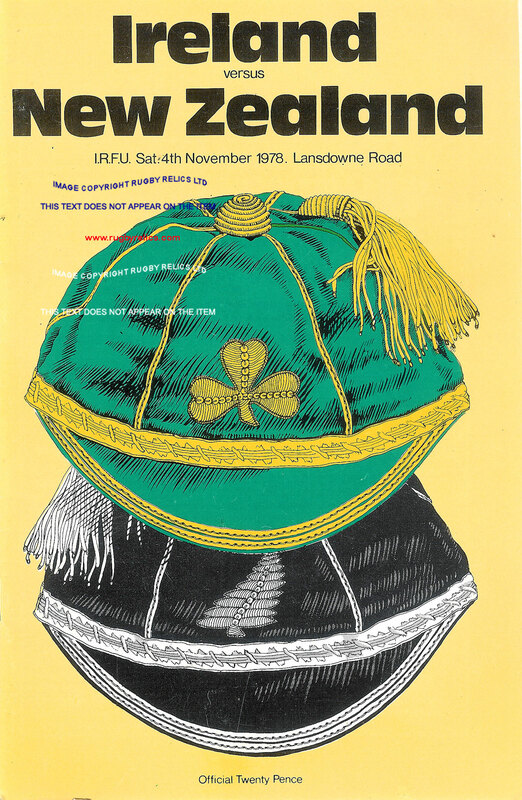 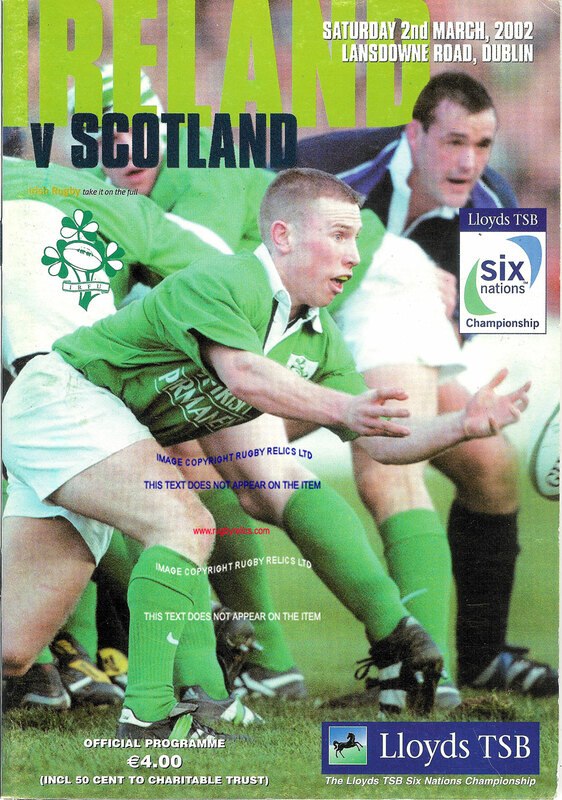 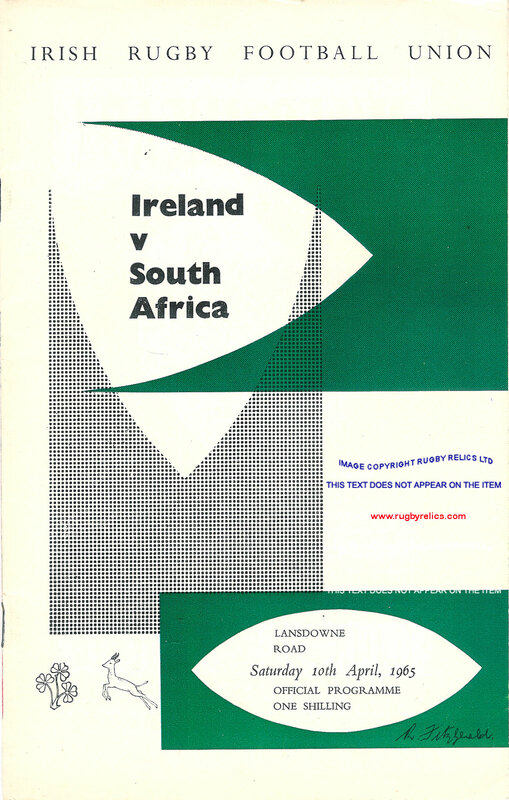 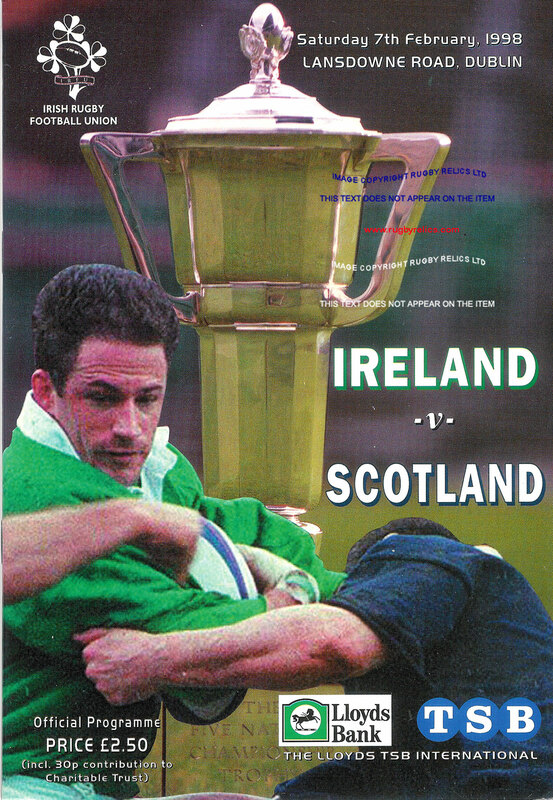 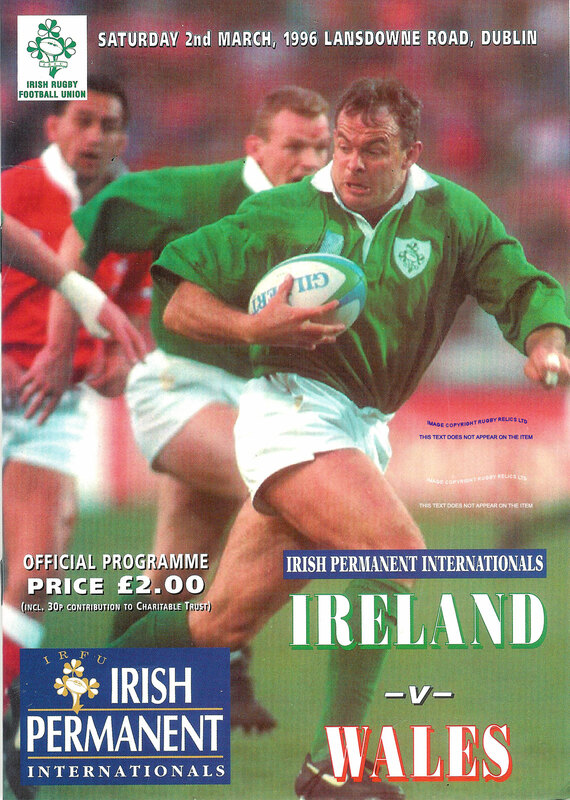 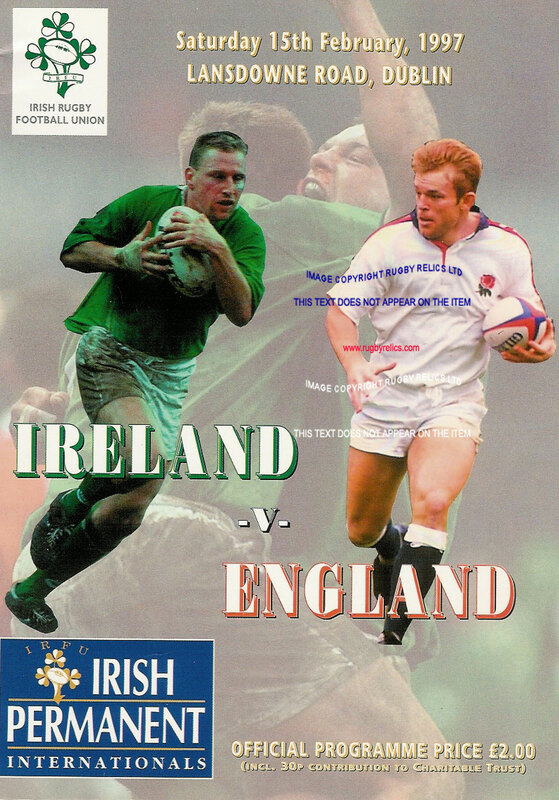 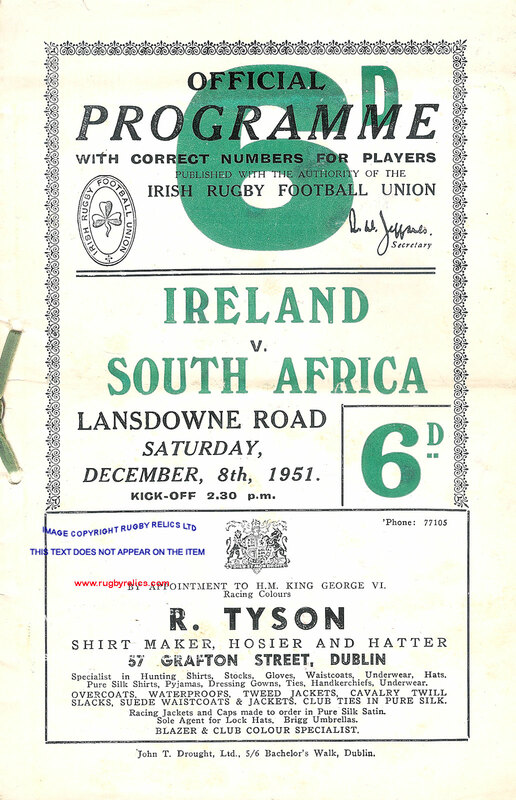 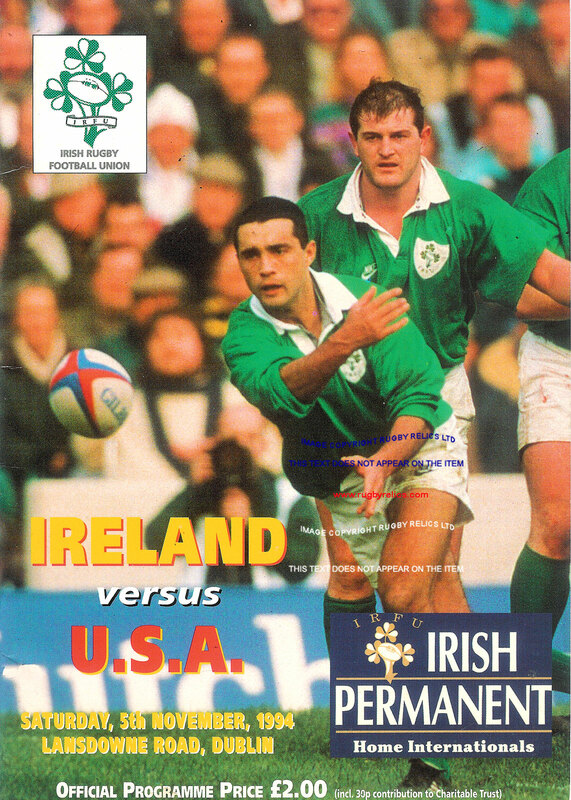 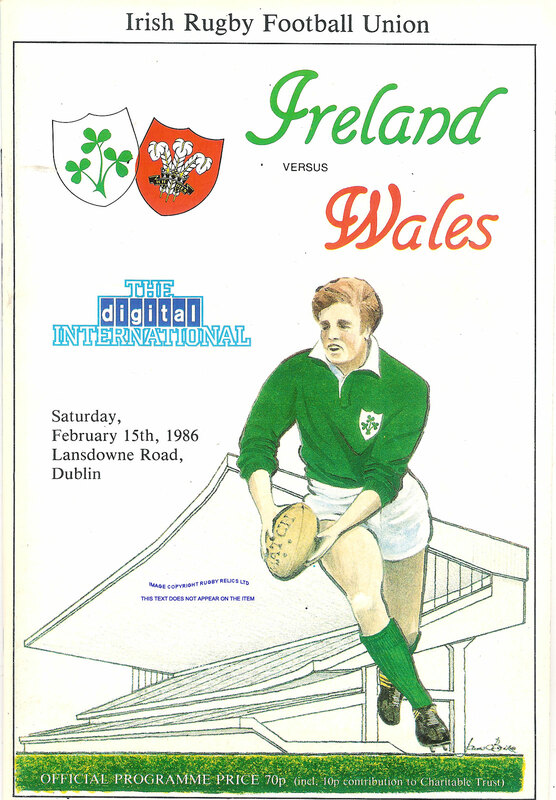 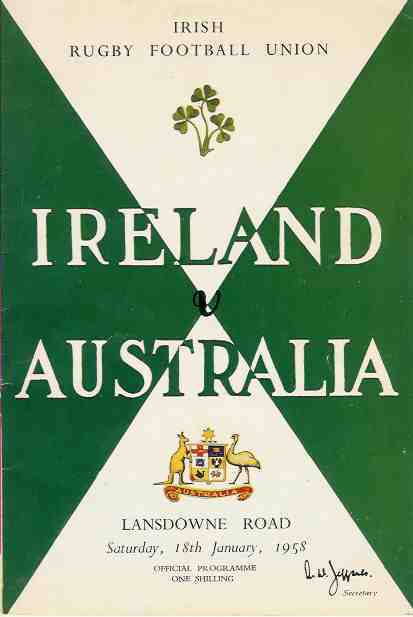 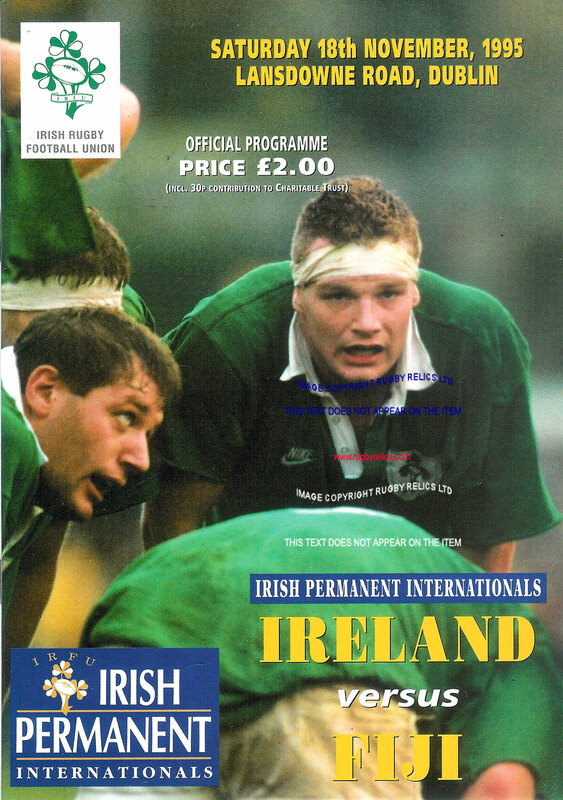 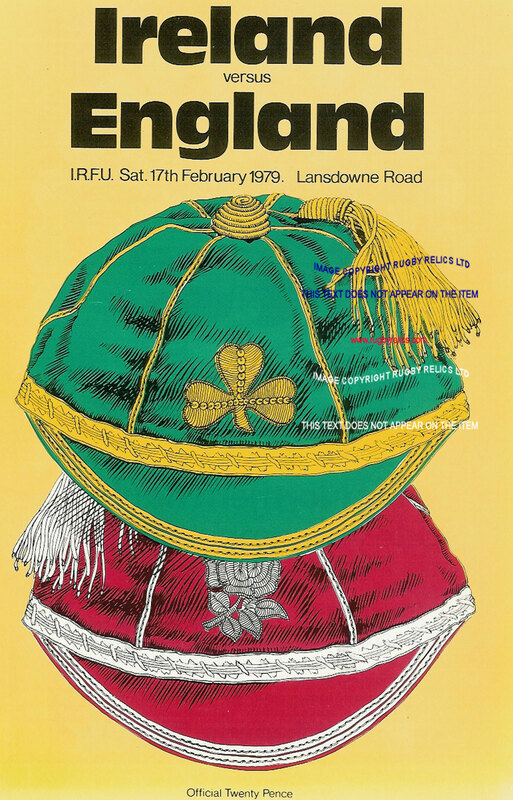 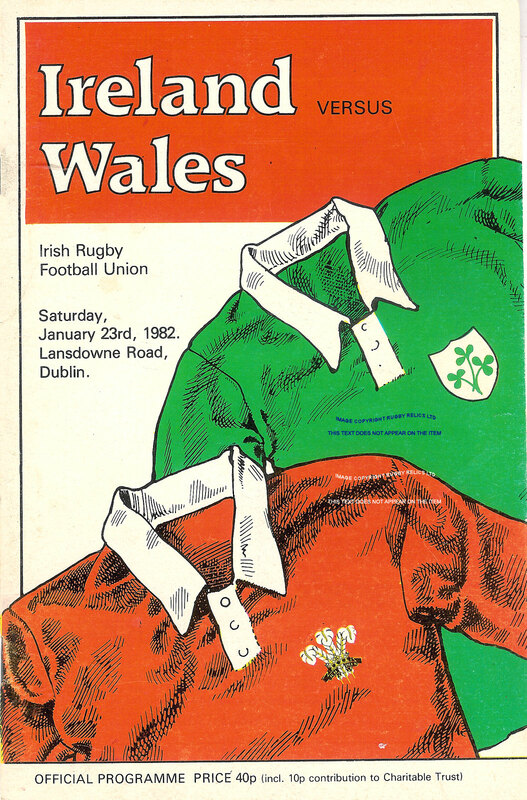 For programmes of international tour matches played by Ireland - click on the photo above or on the years below to be taken to the Irish tour for that year. 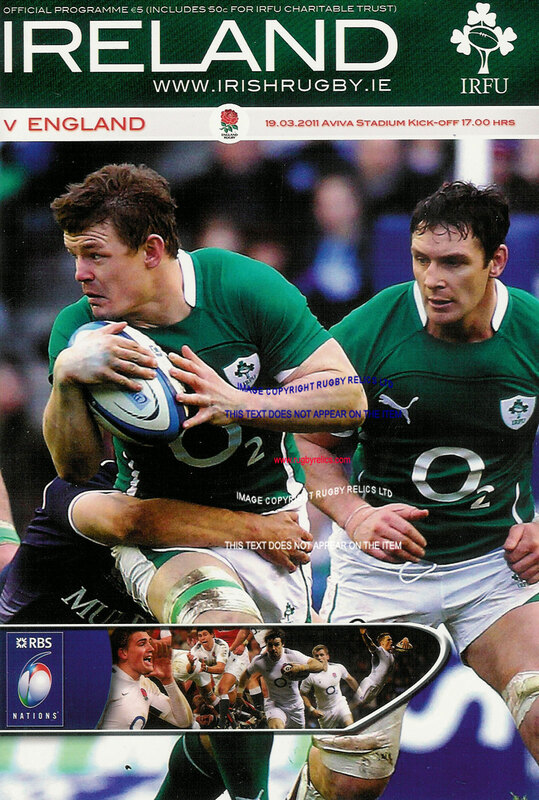 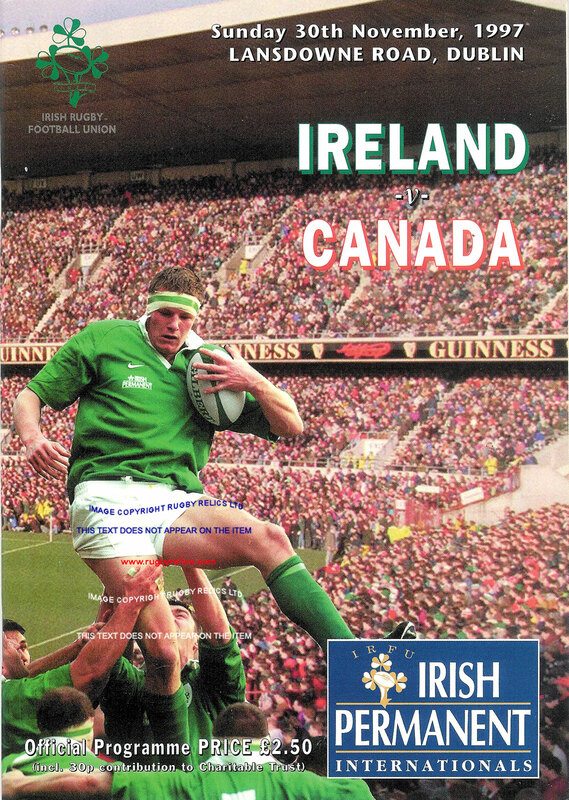 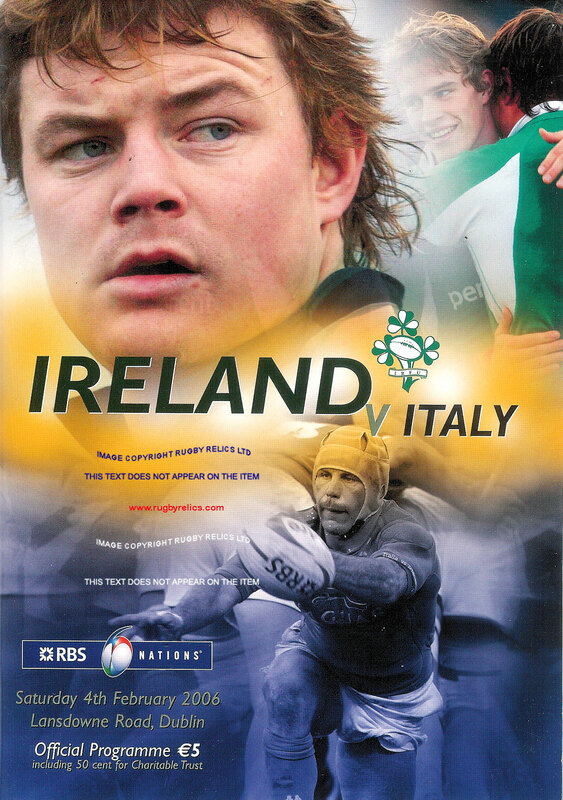 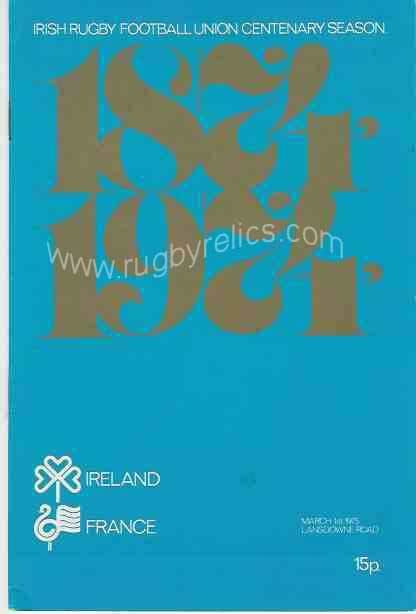 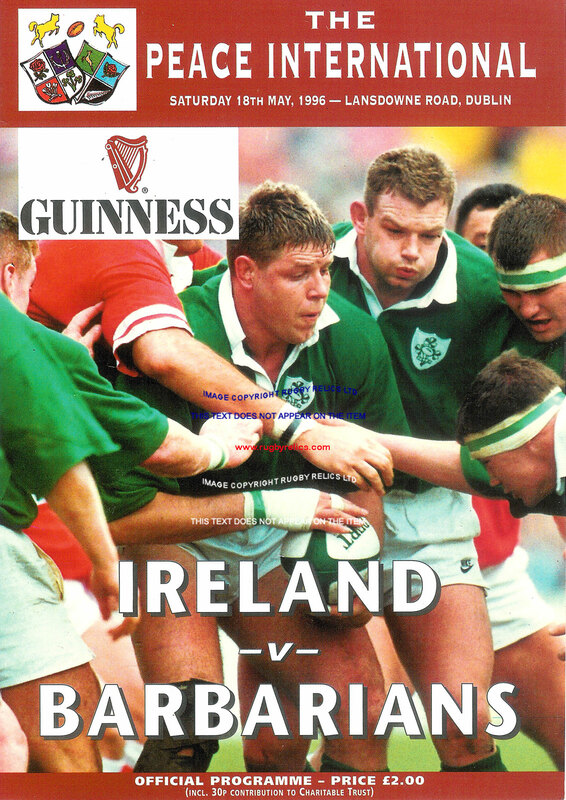 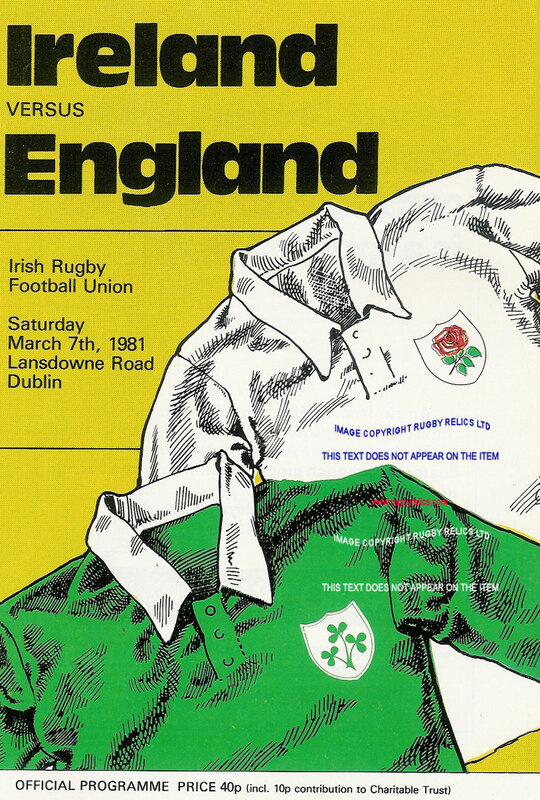 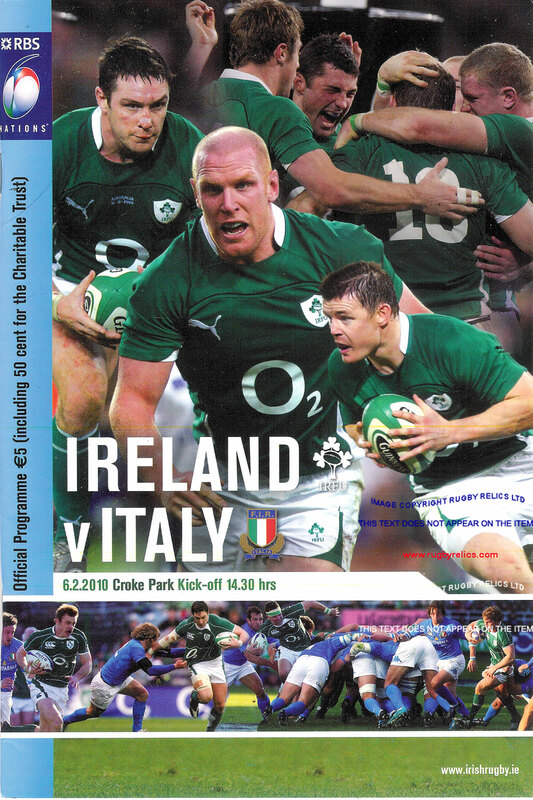 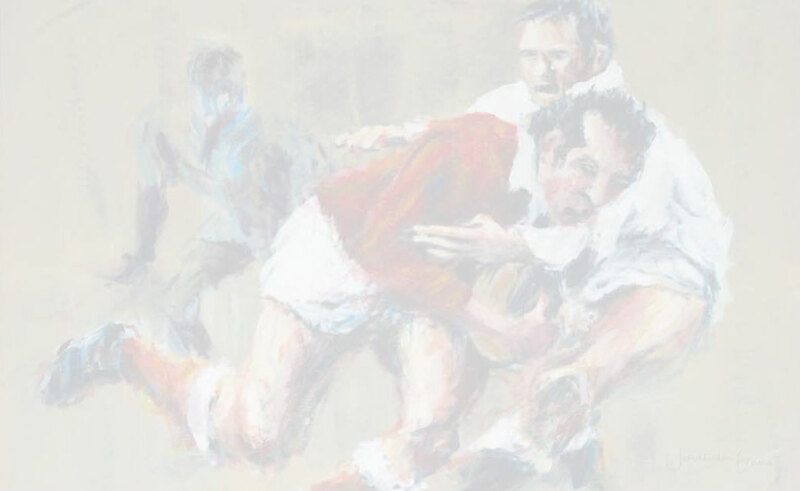 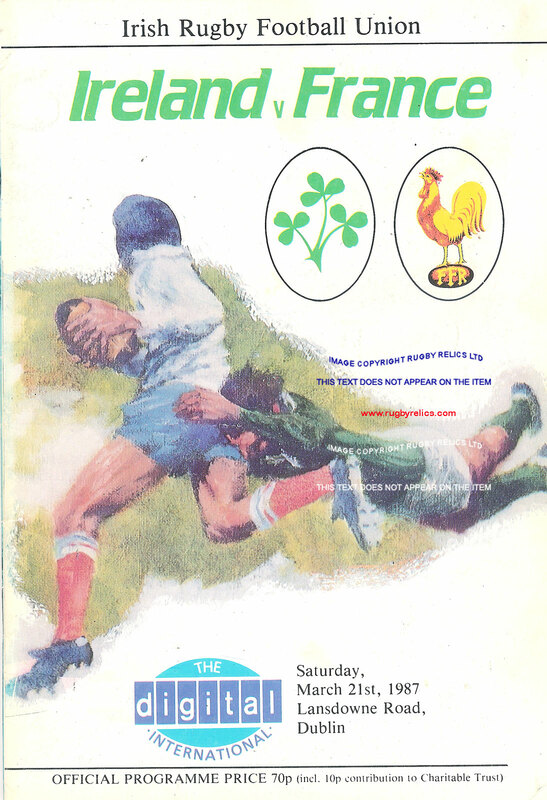 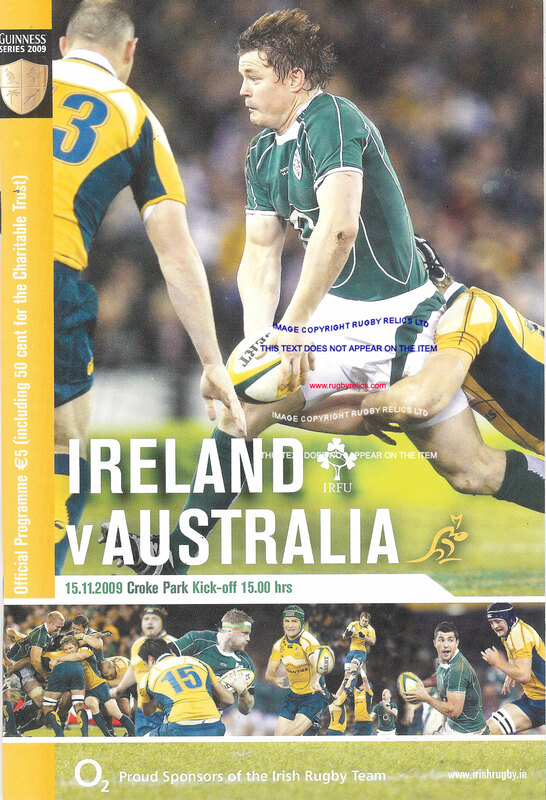 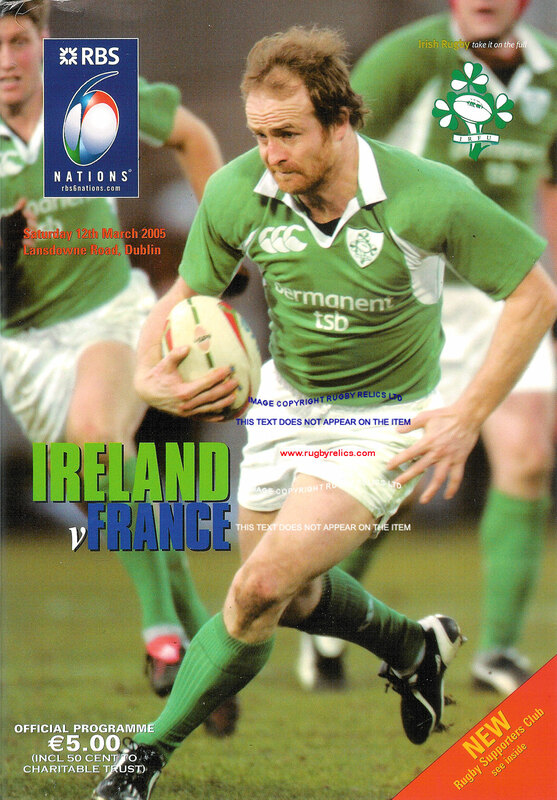 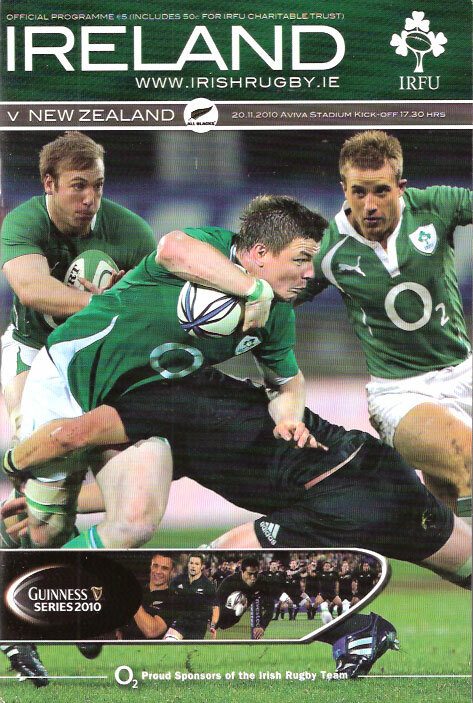 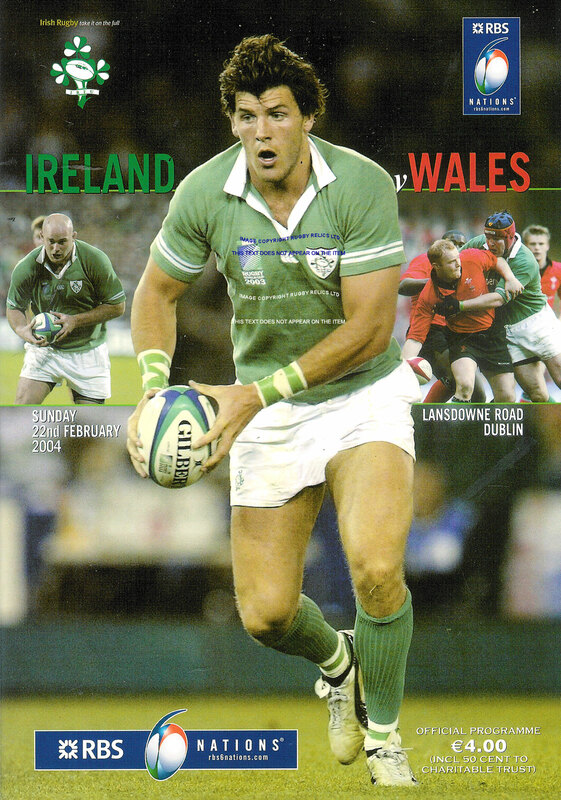 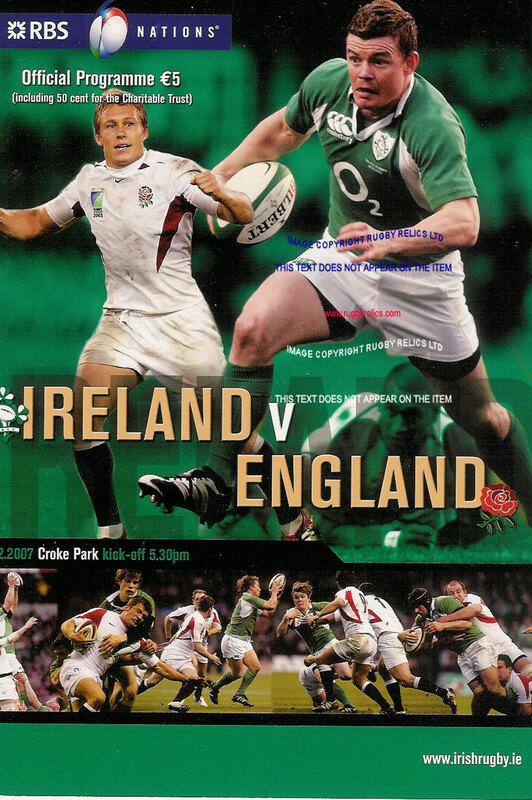 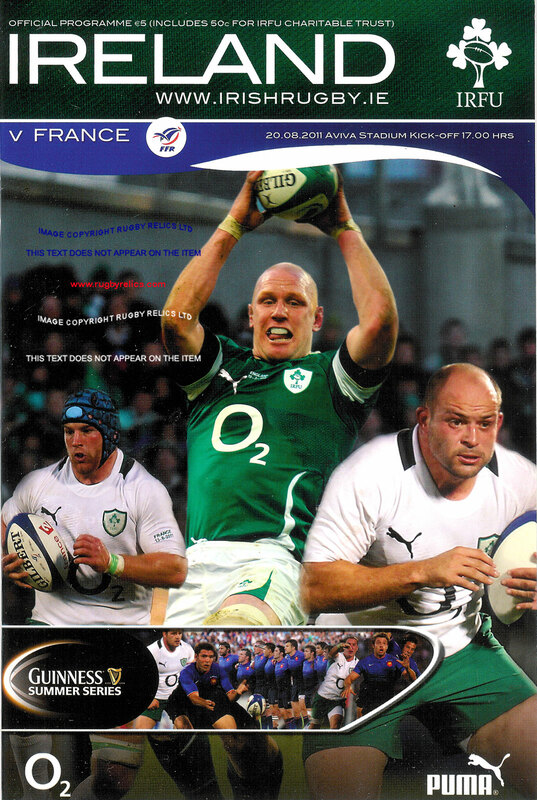 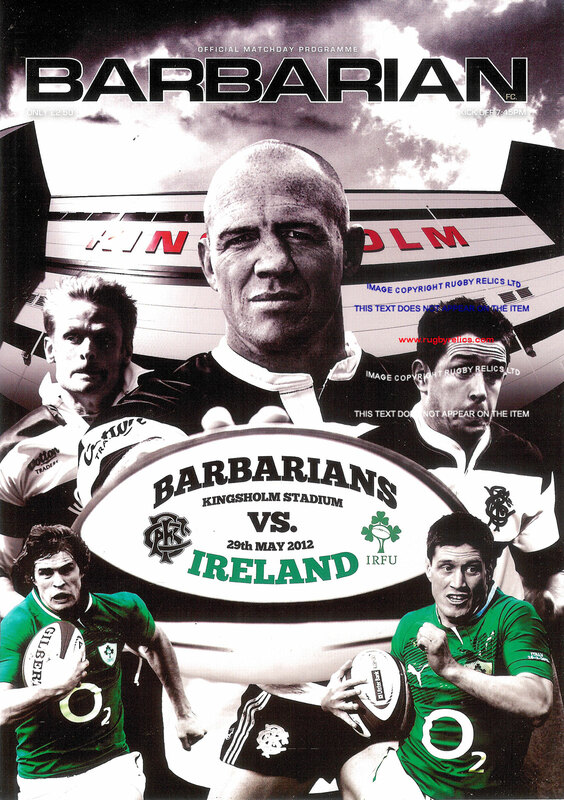 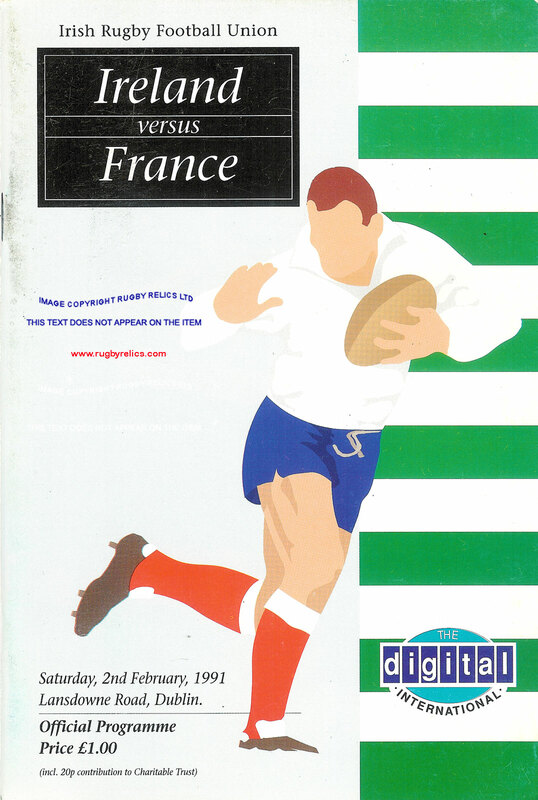 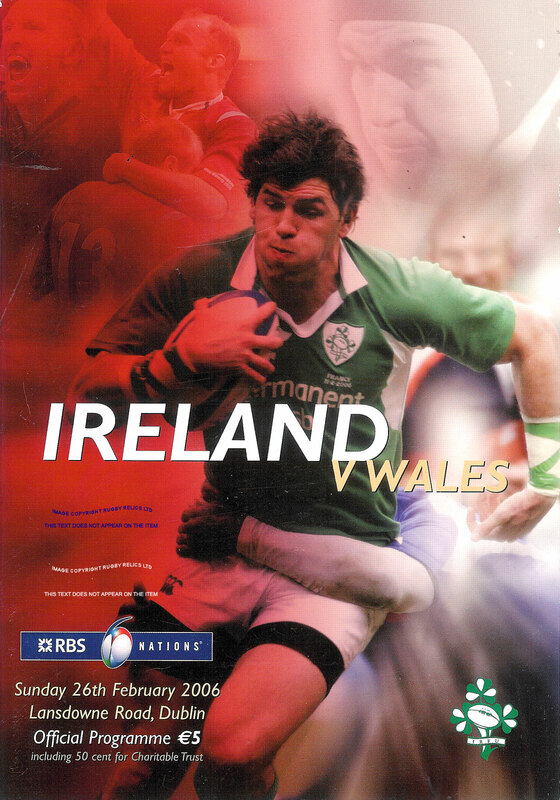 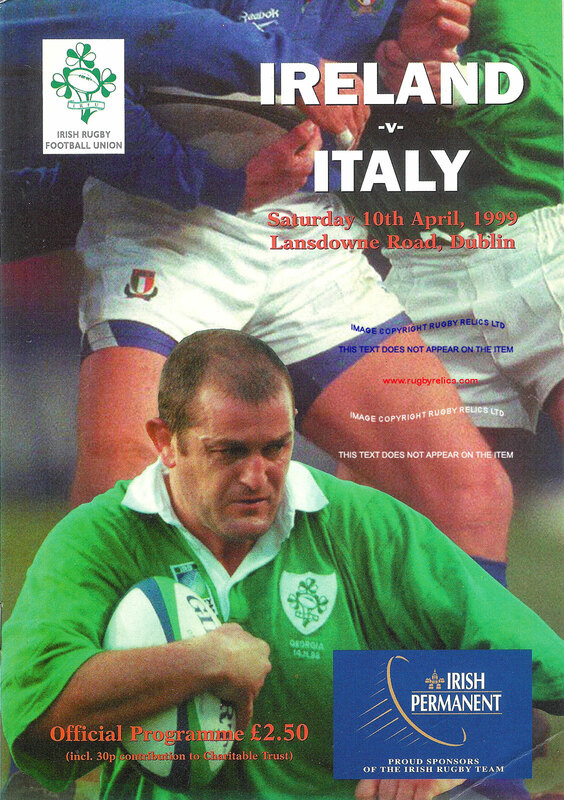 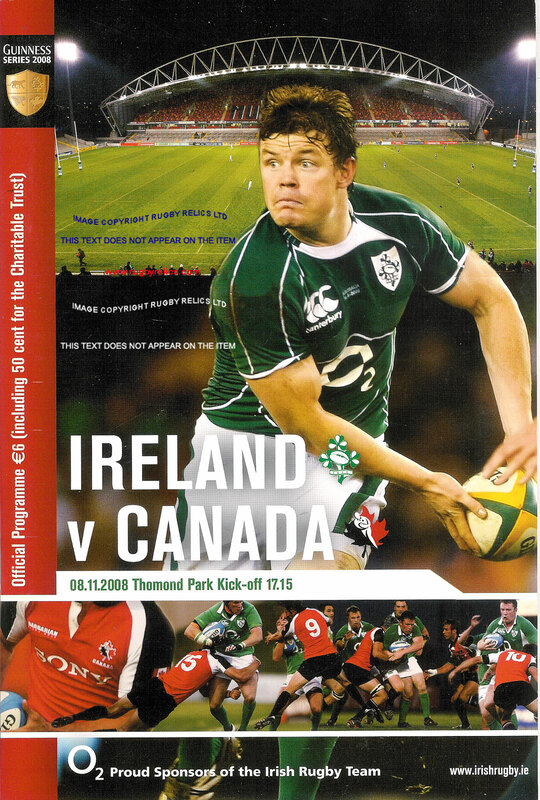 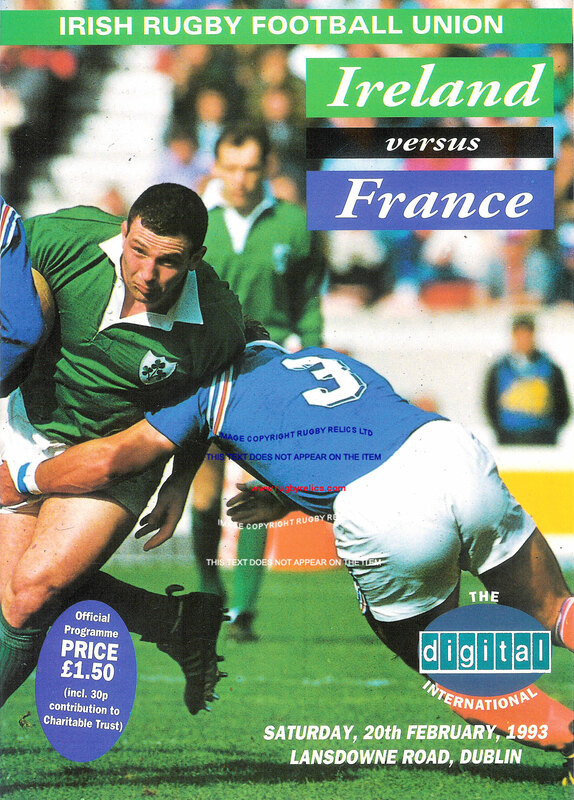 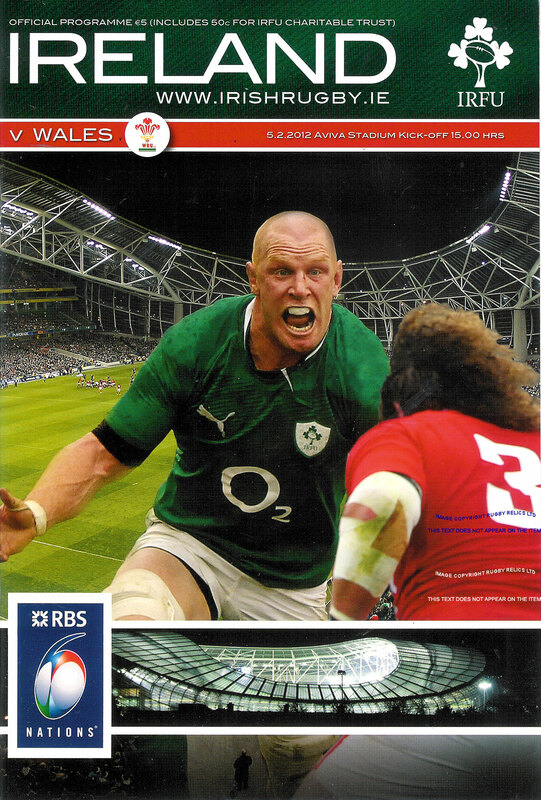 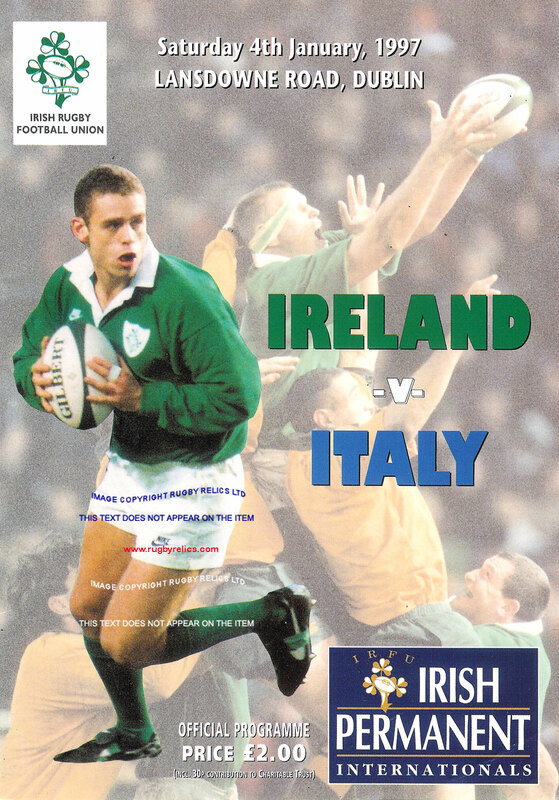 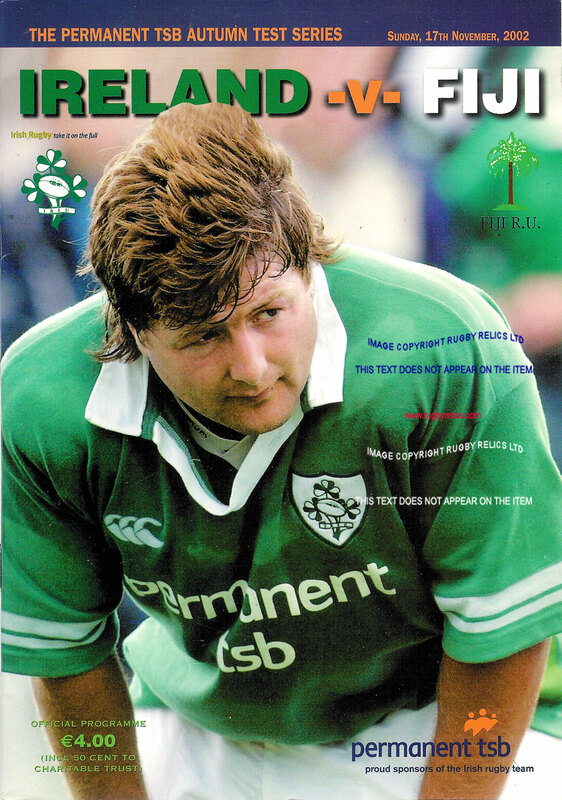 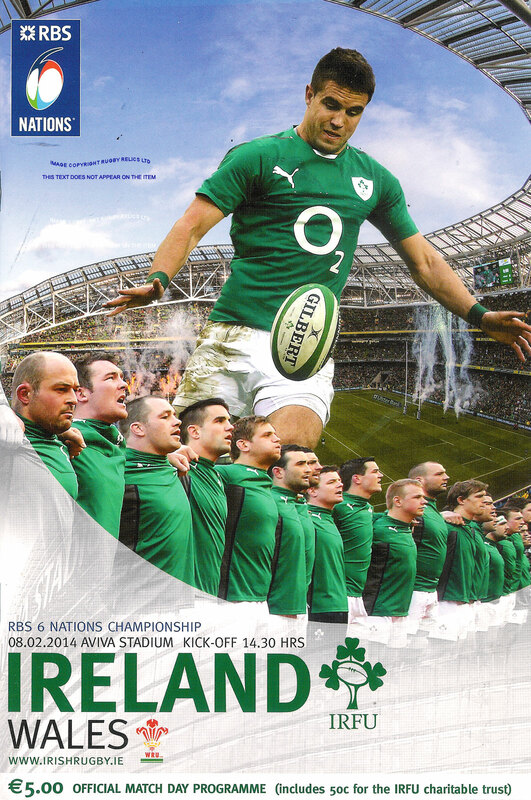 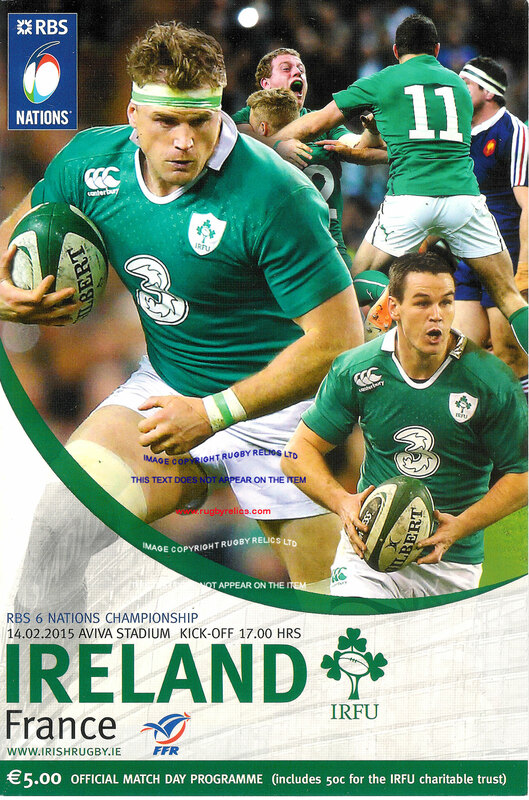 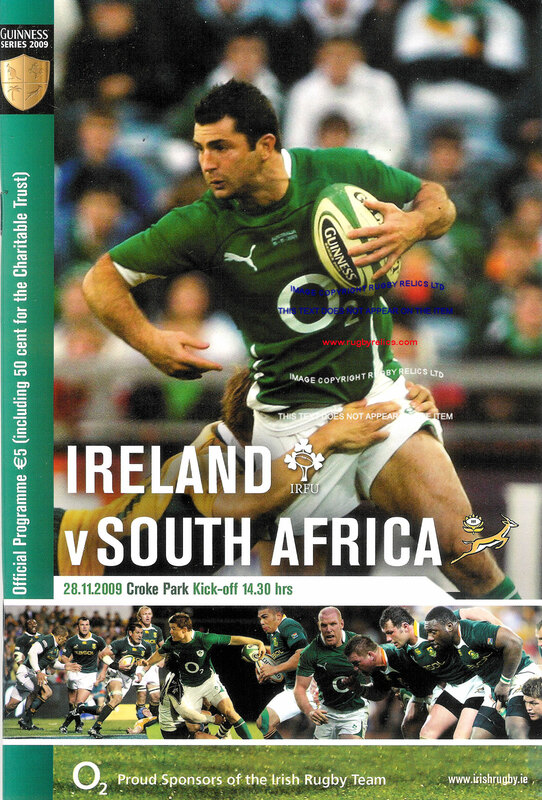 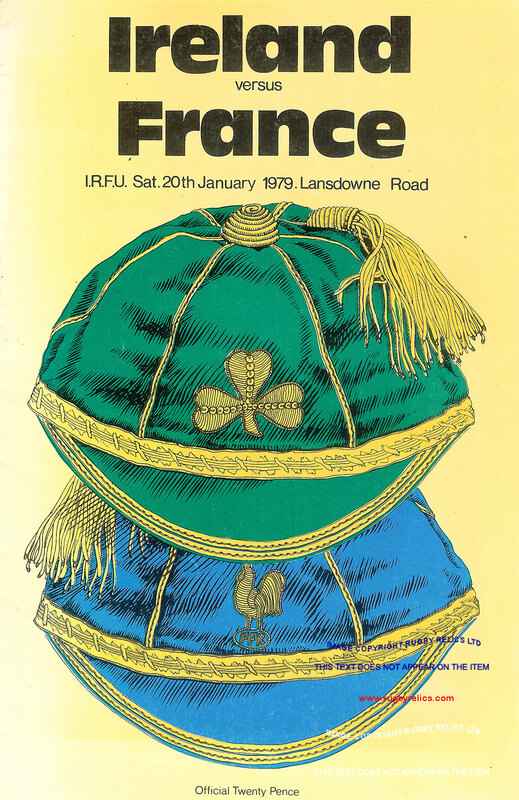 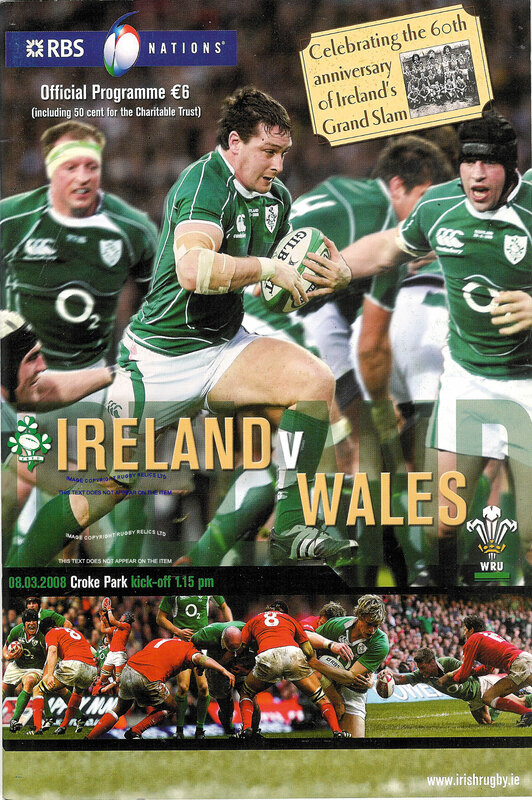 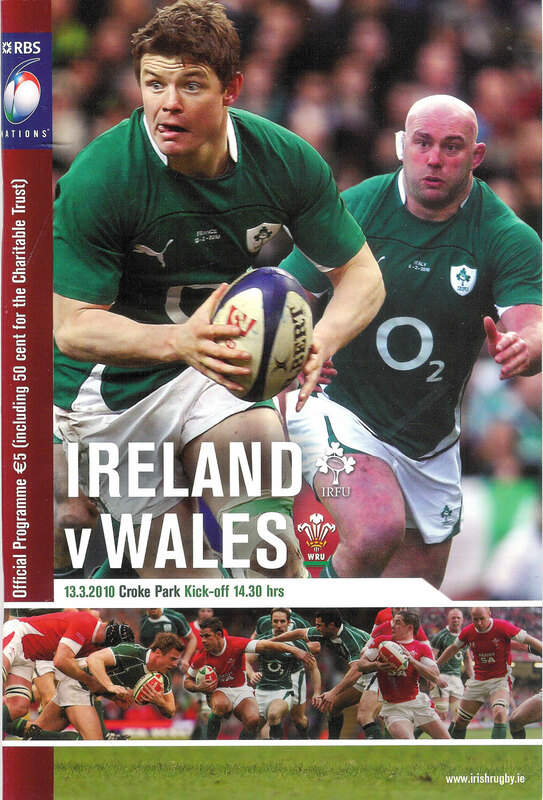 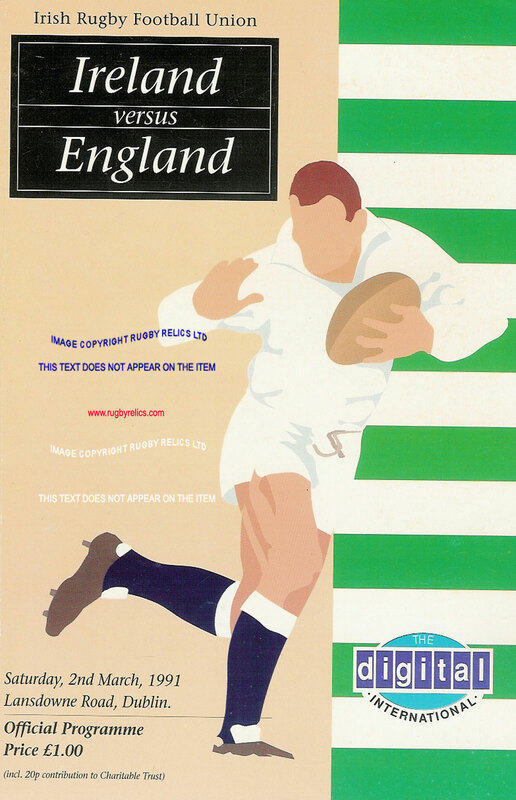 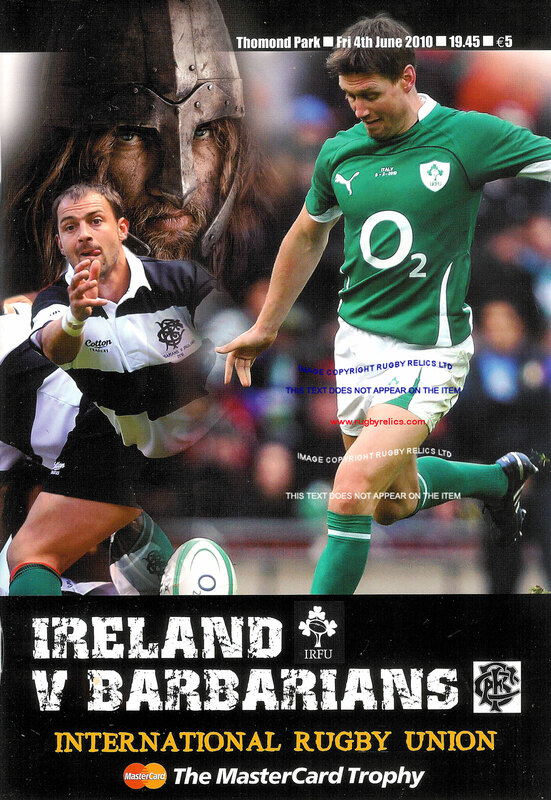 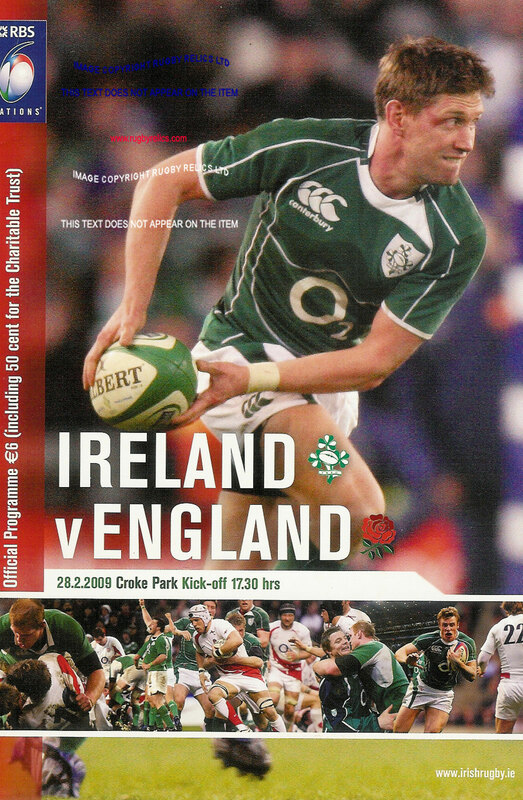 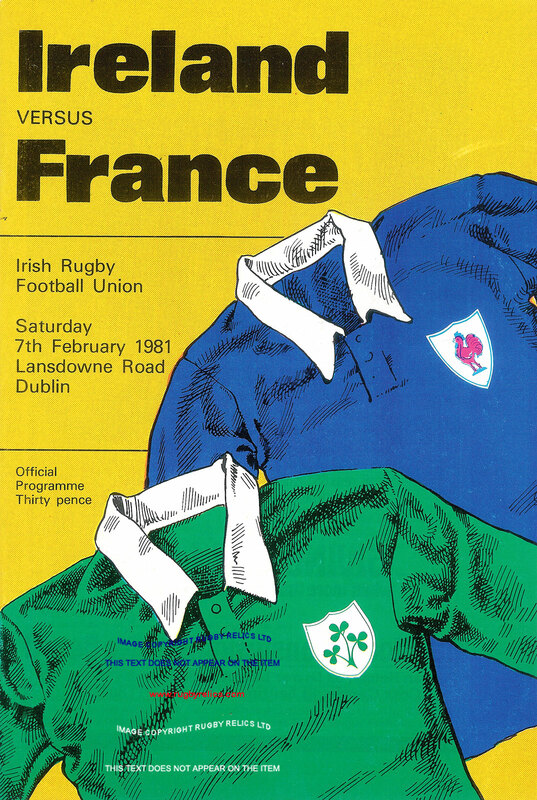 For programmes of matches played by Ireland in the Rugby World Cup - CLICK HERE - on the photo above or click on the dates below to be taken to the programmes for that particular tournament.